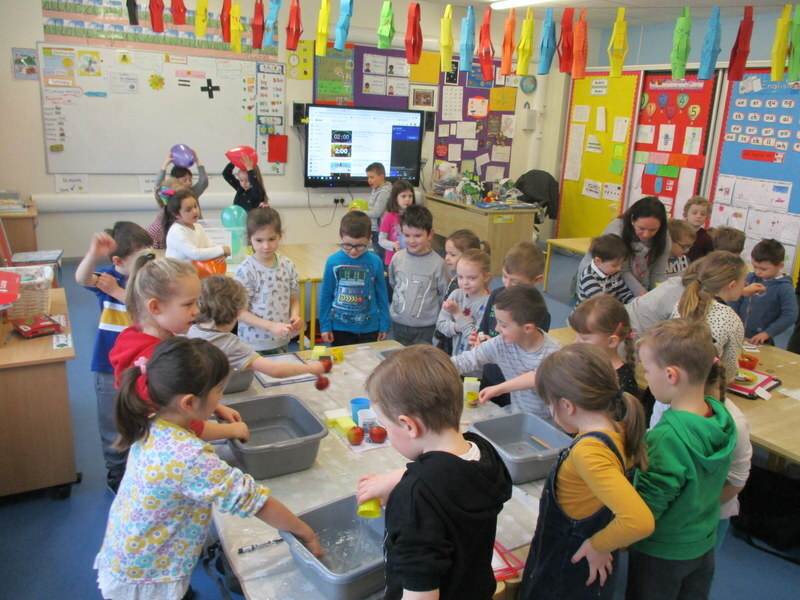 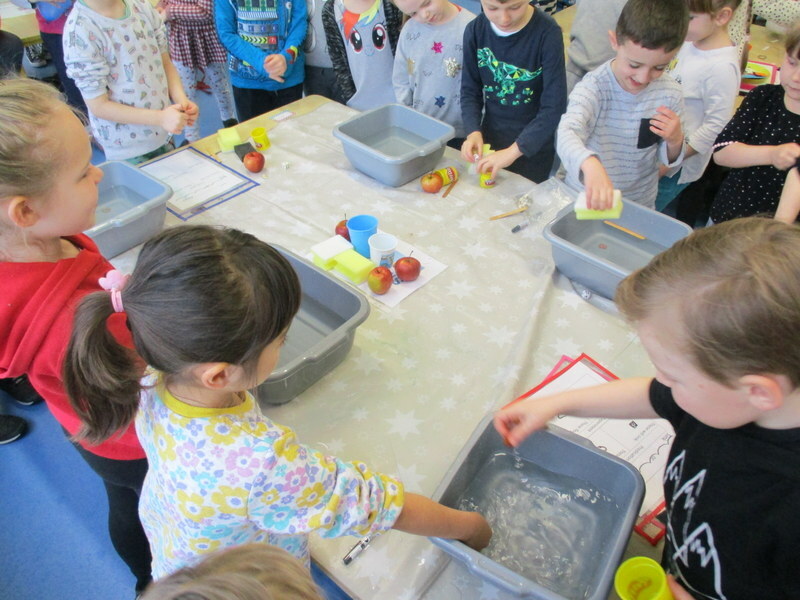 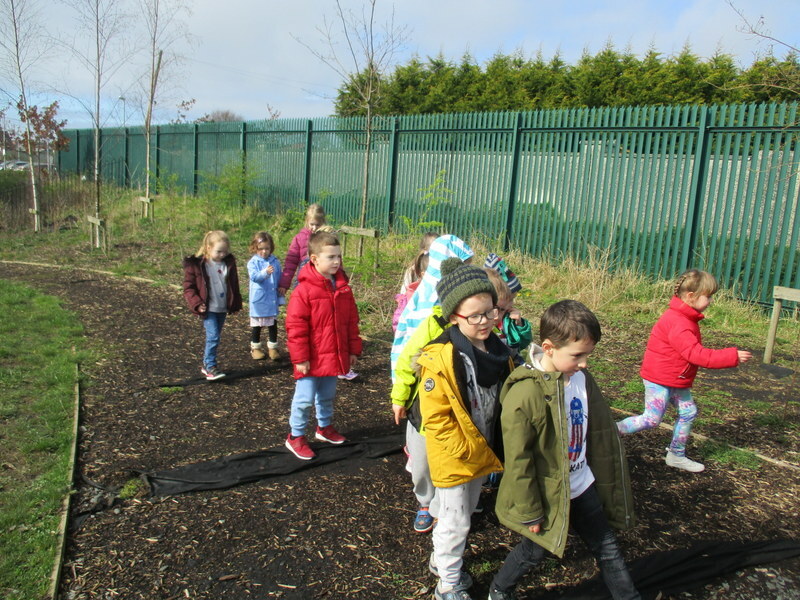 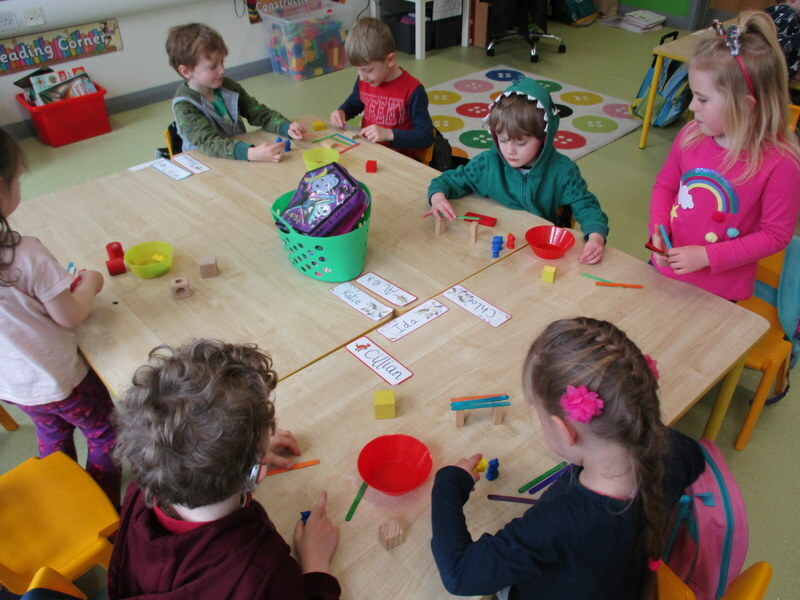 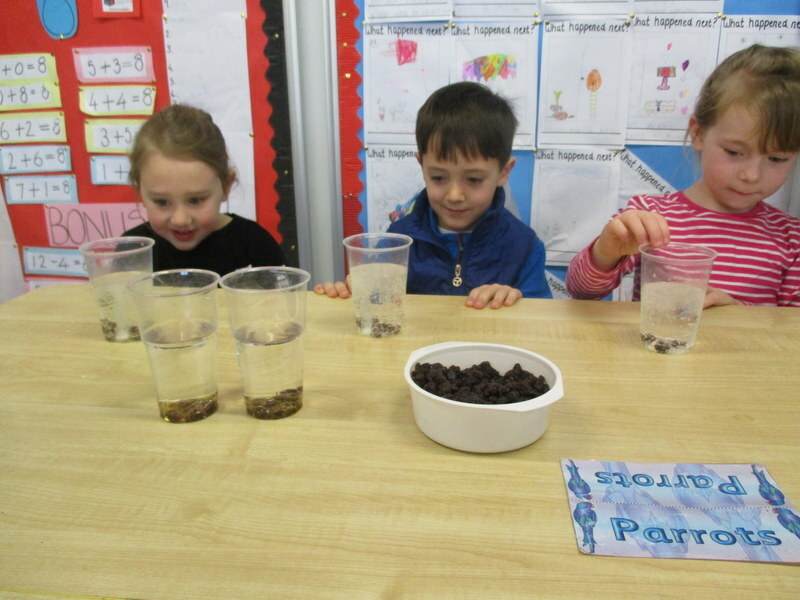 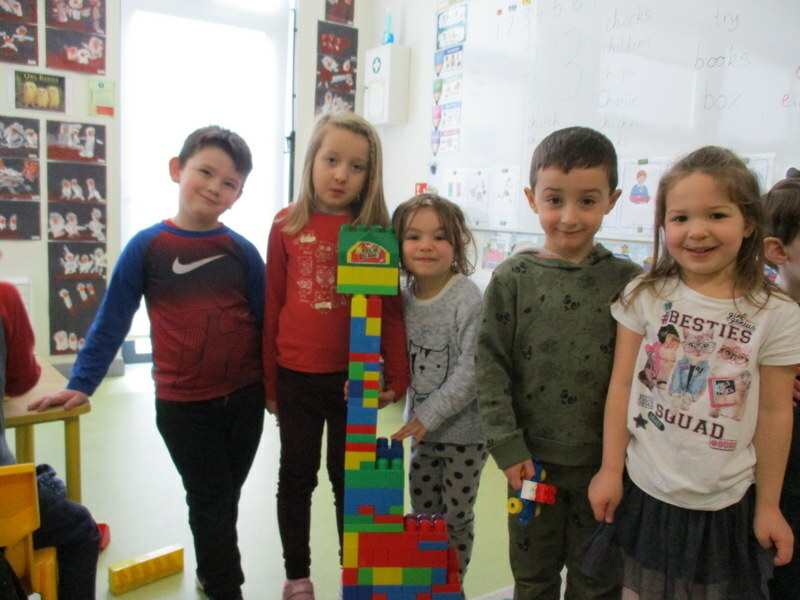 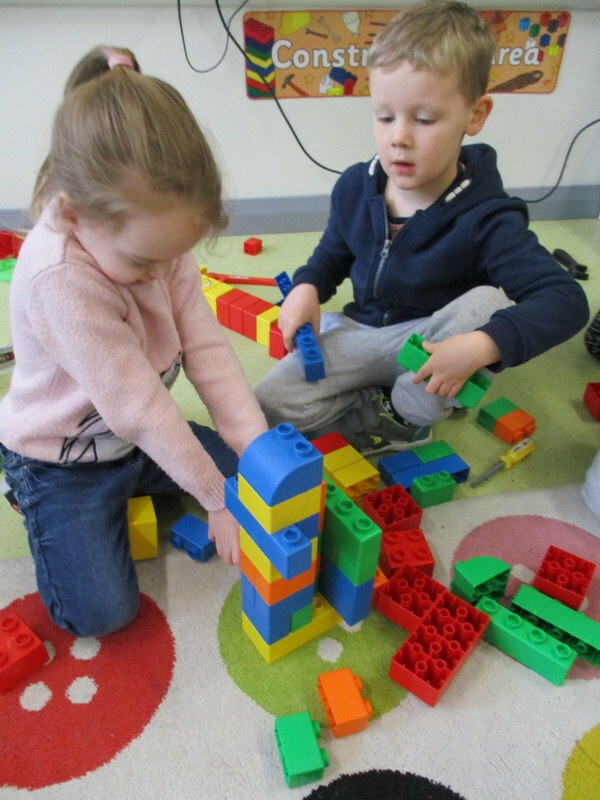 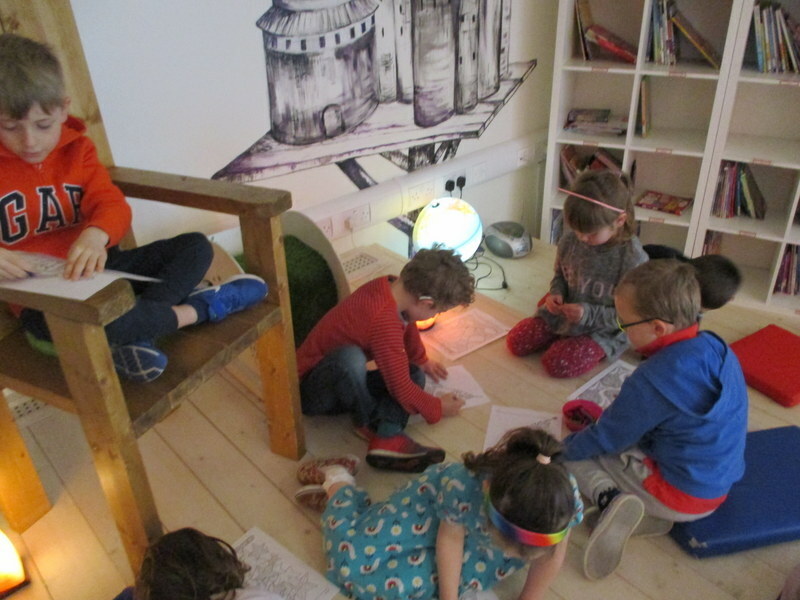 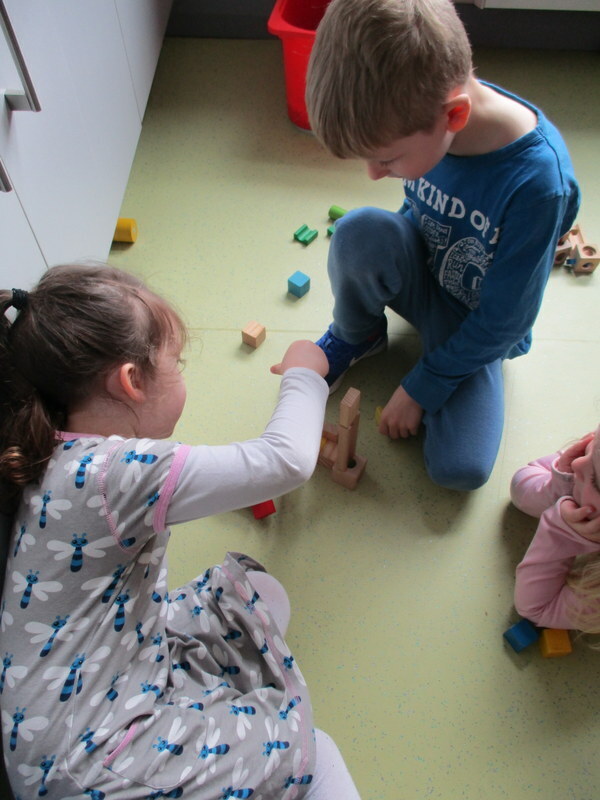 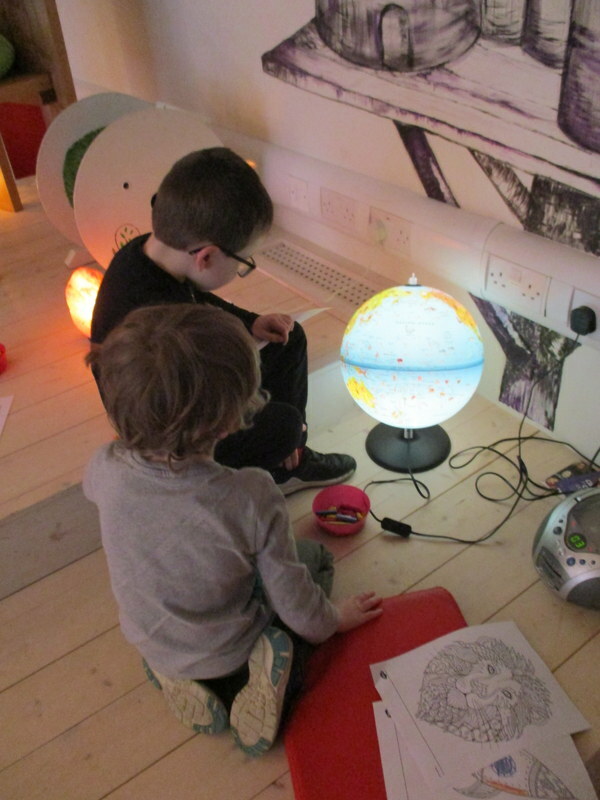 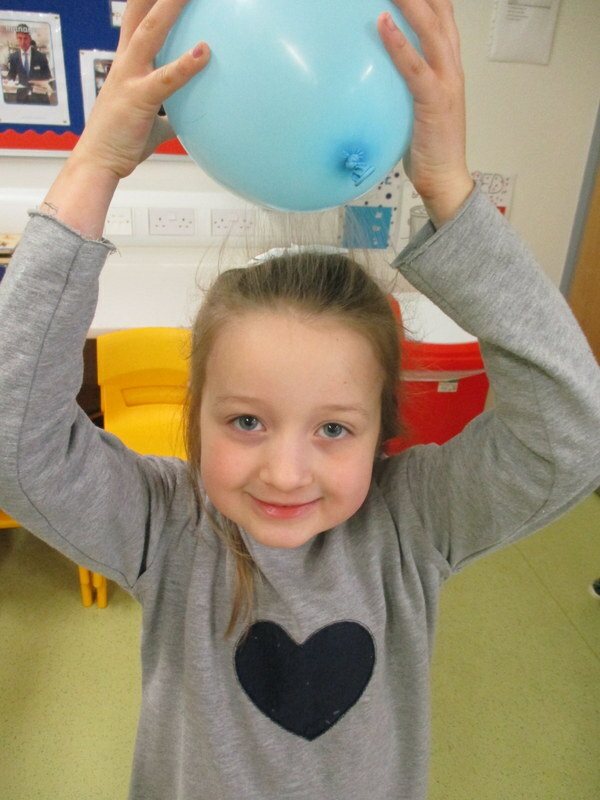 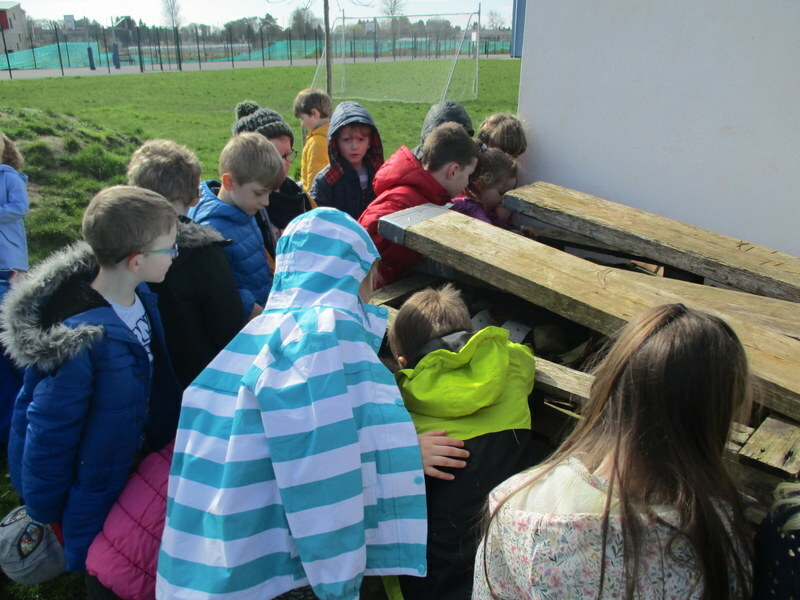 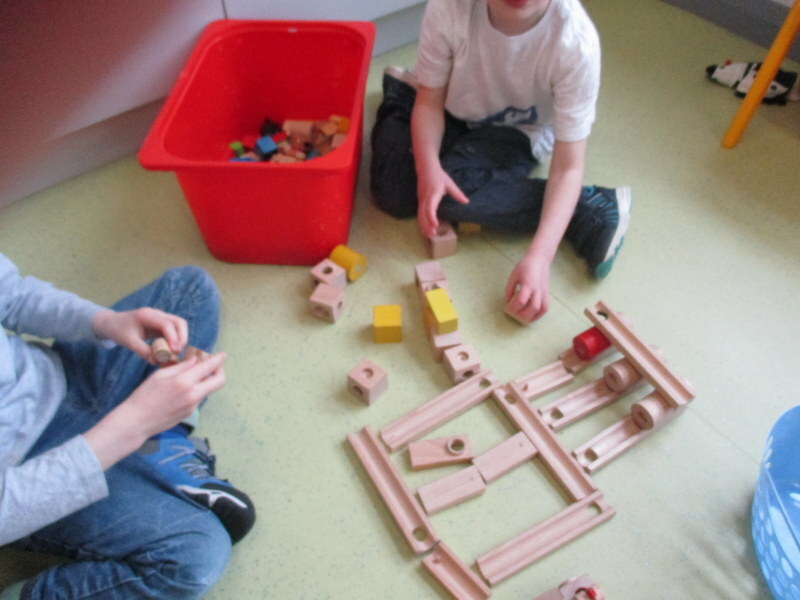 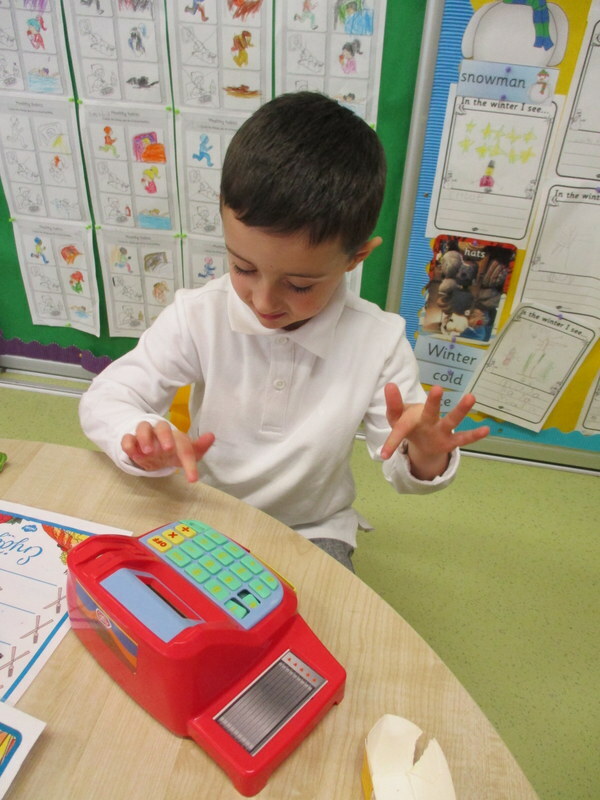 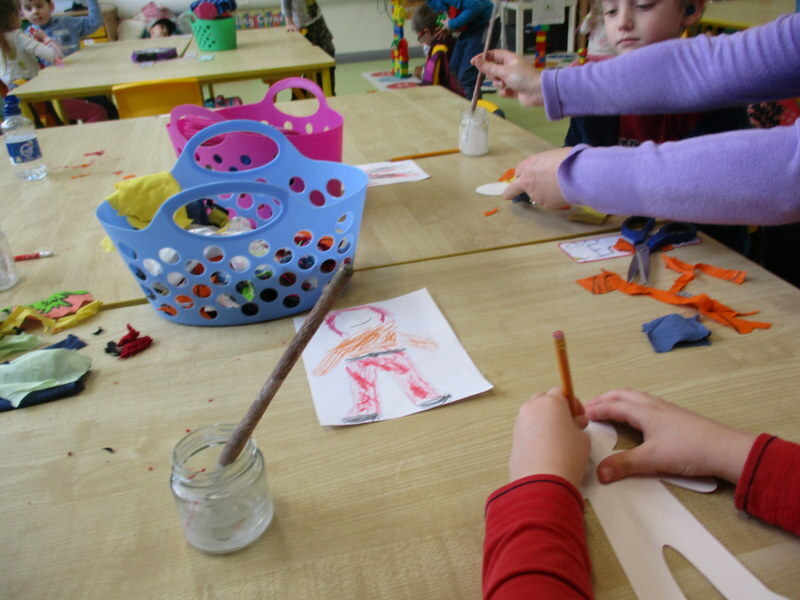 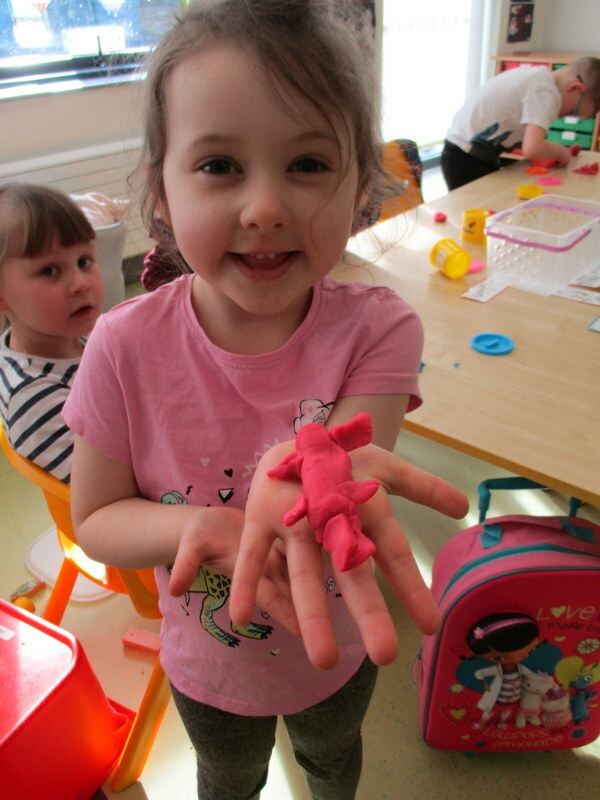 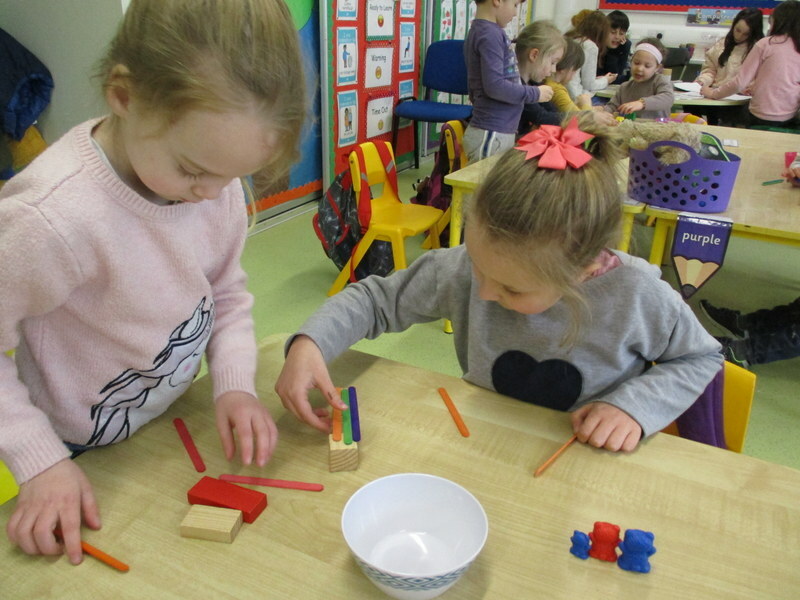 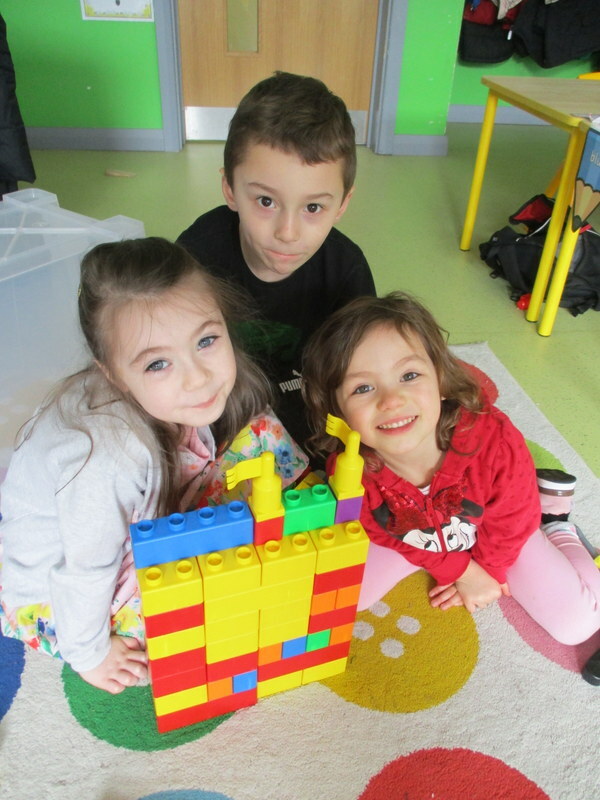 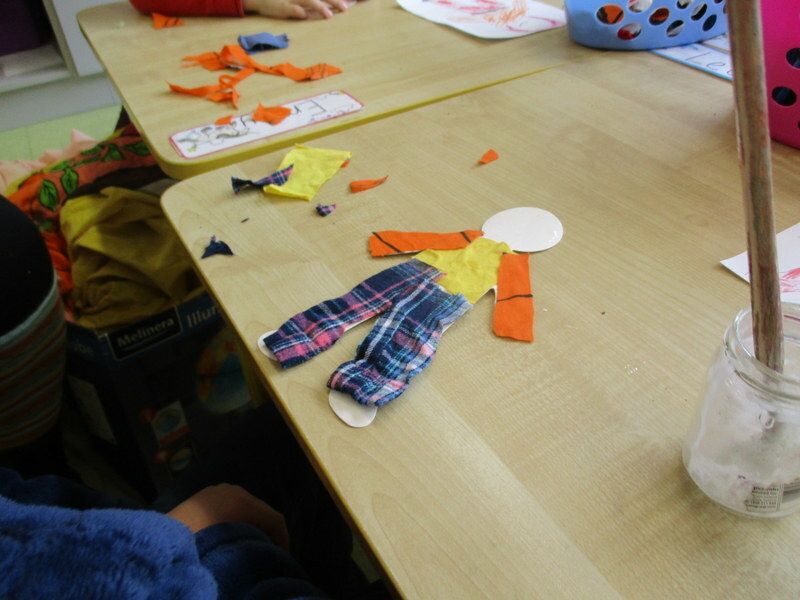 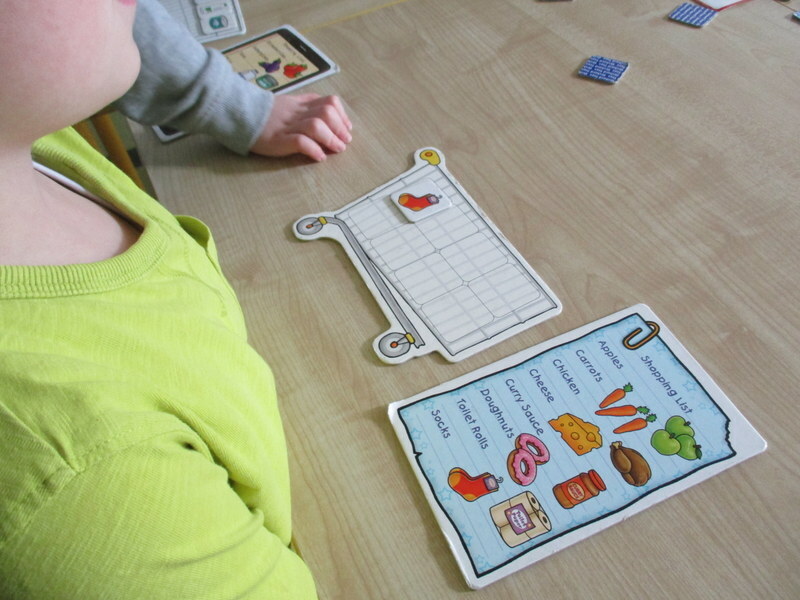 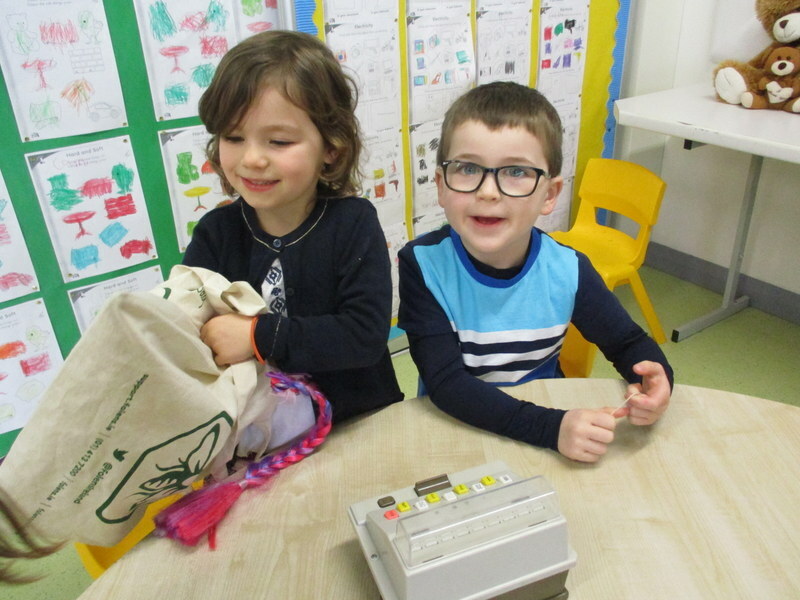 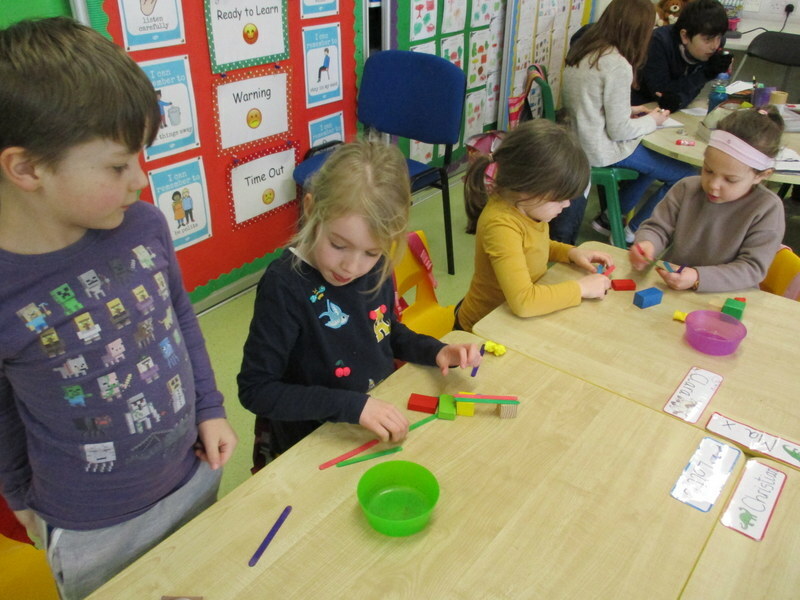 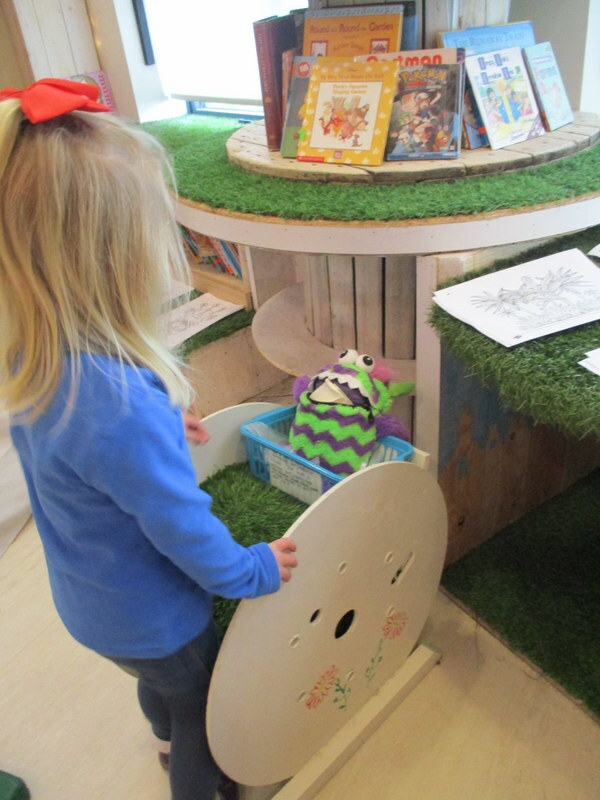 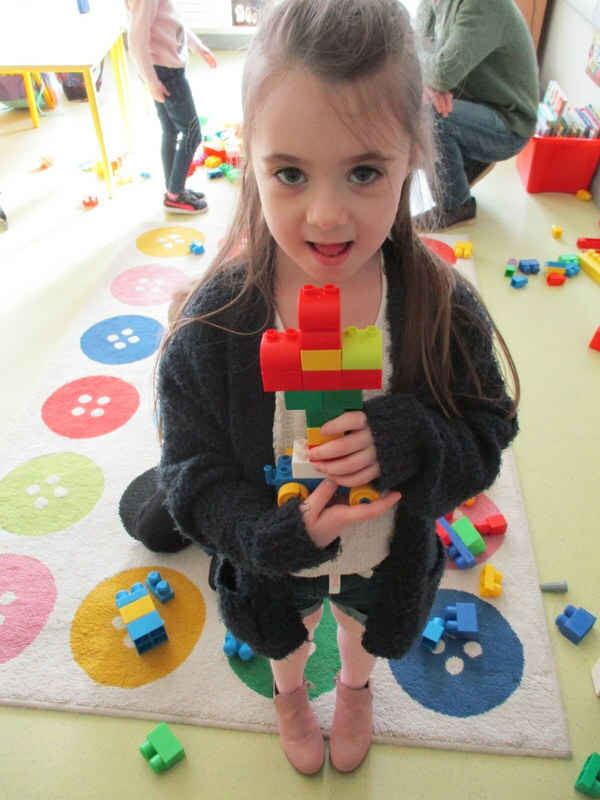 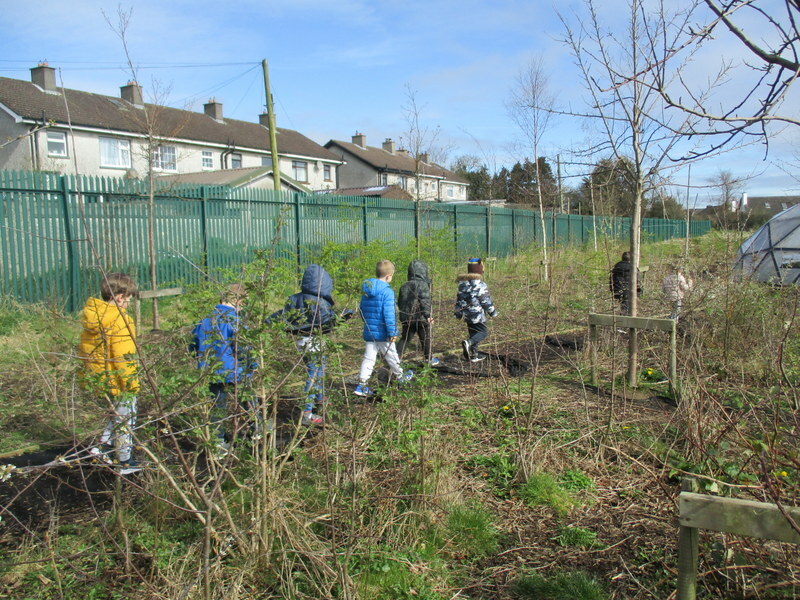 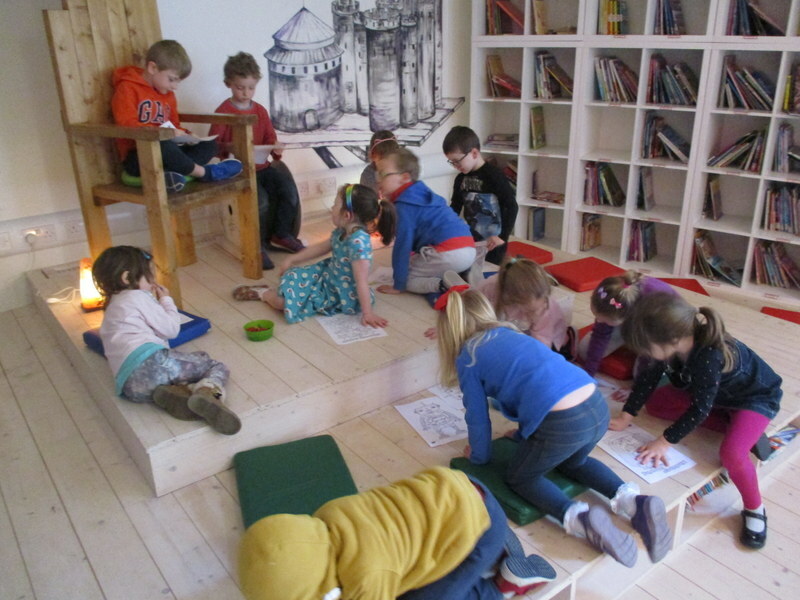 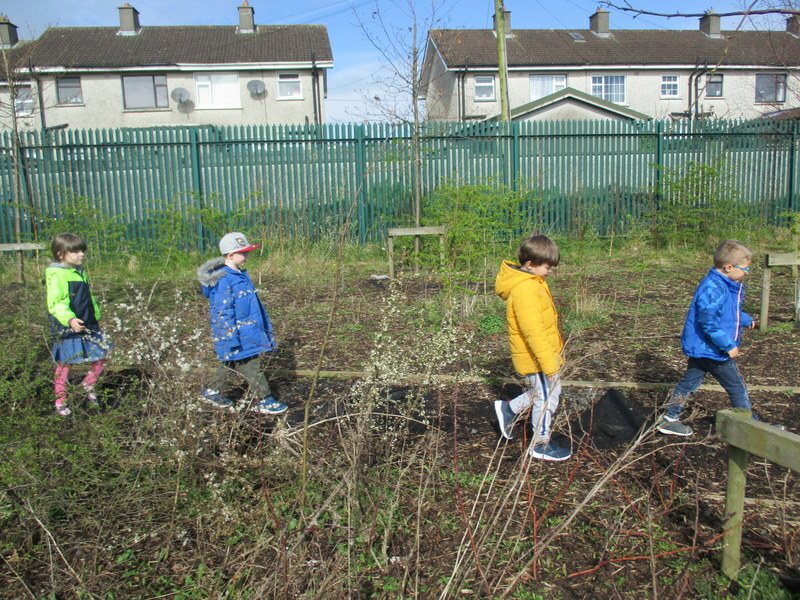 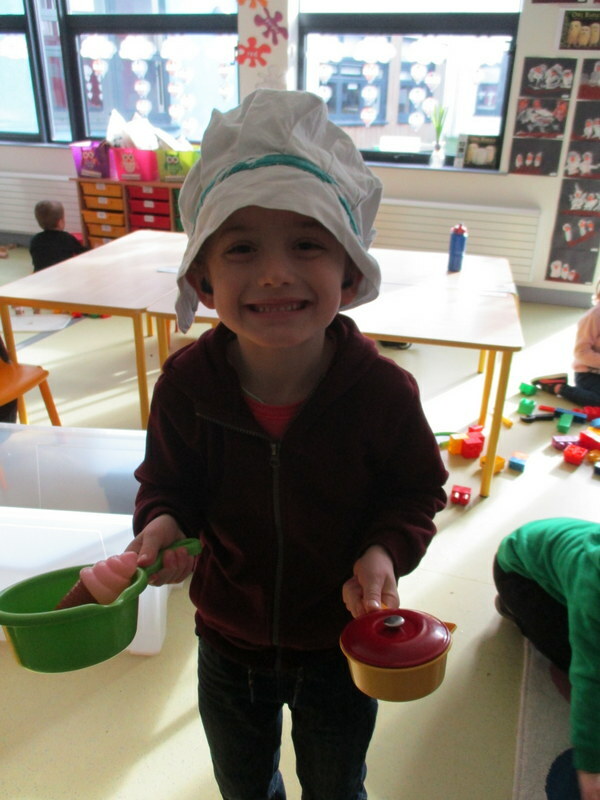 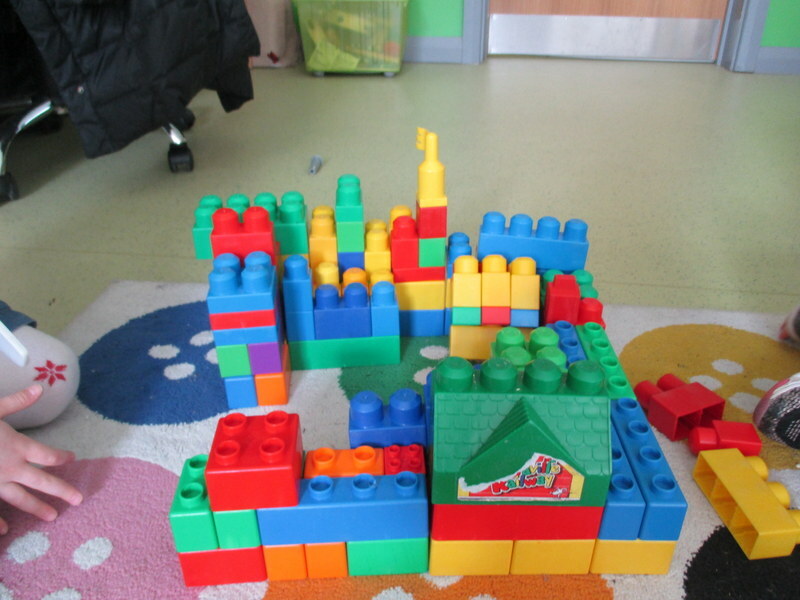 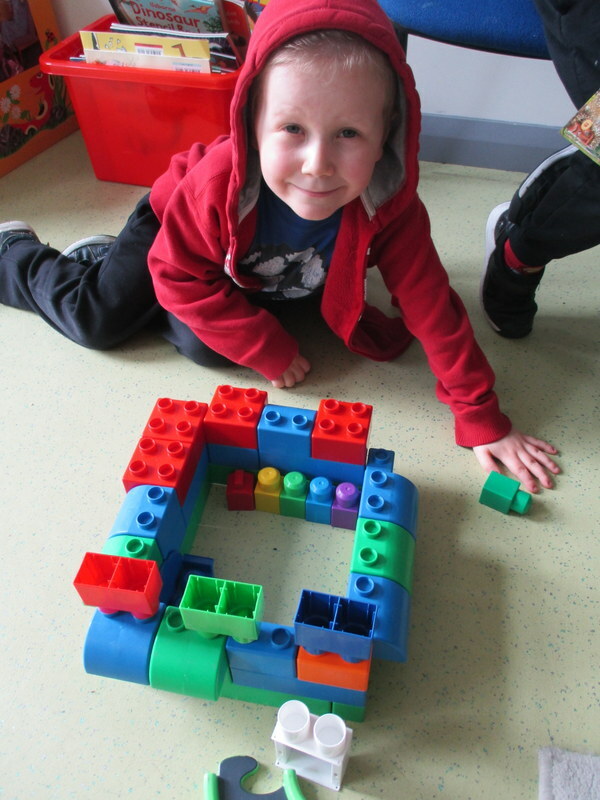 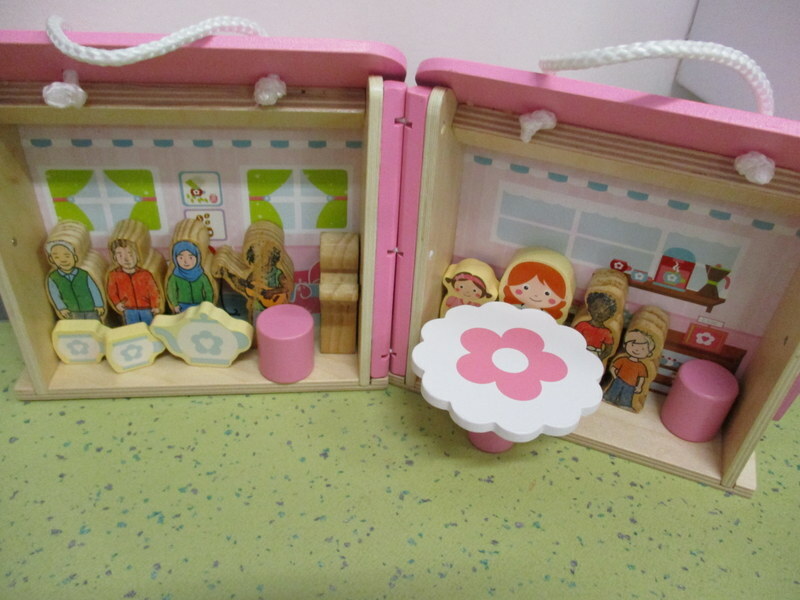 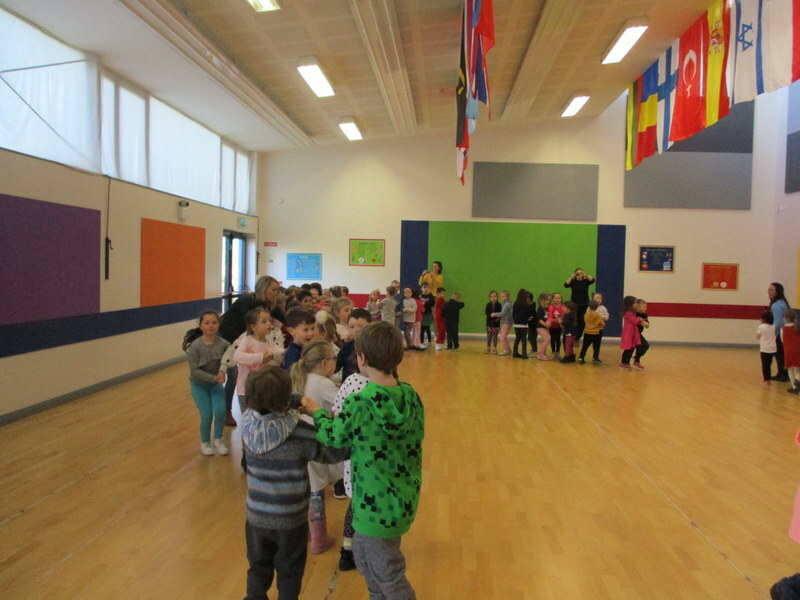 Home » Classes » Aisling's-junior-infants » Spring, Spring, Spring! 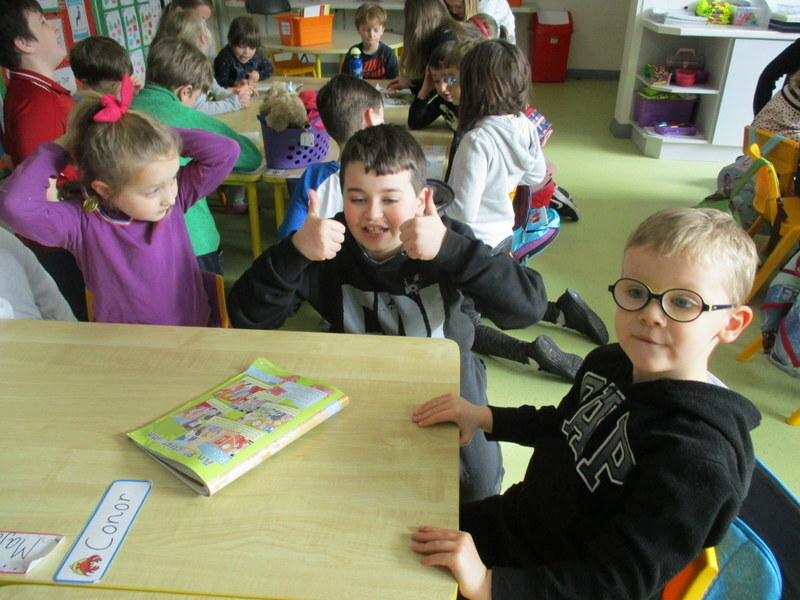 Comments Off on Spring, Spring, Spring! 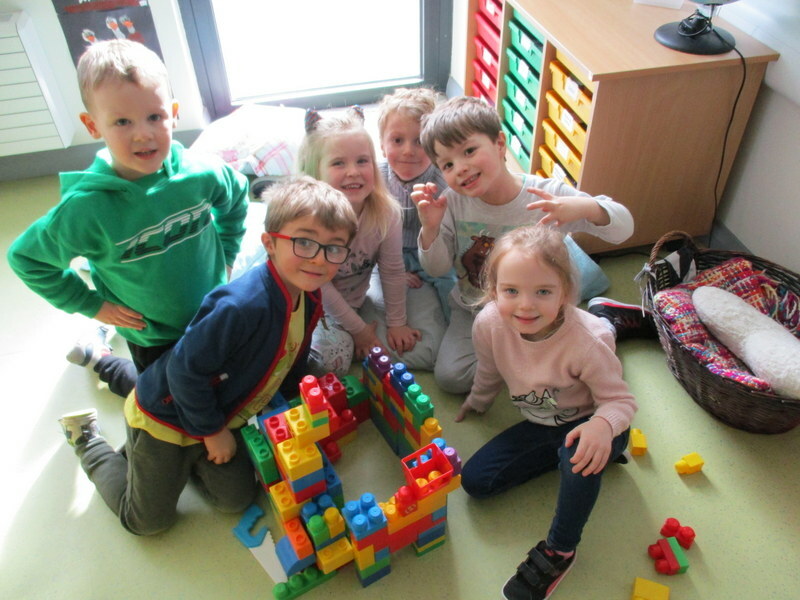 Junior Infants have been incredibly busy over the last few months! 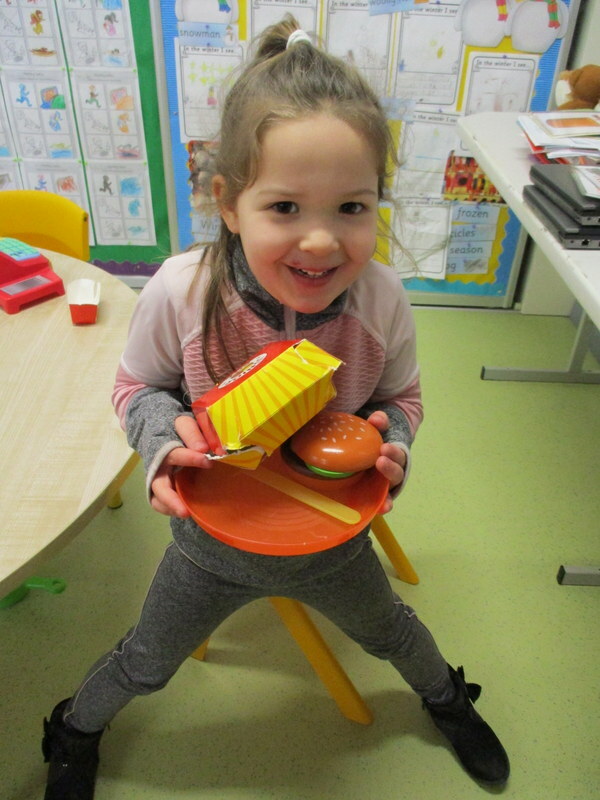 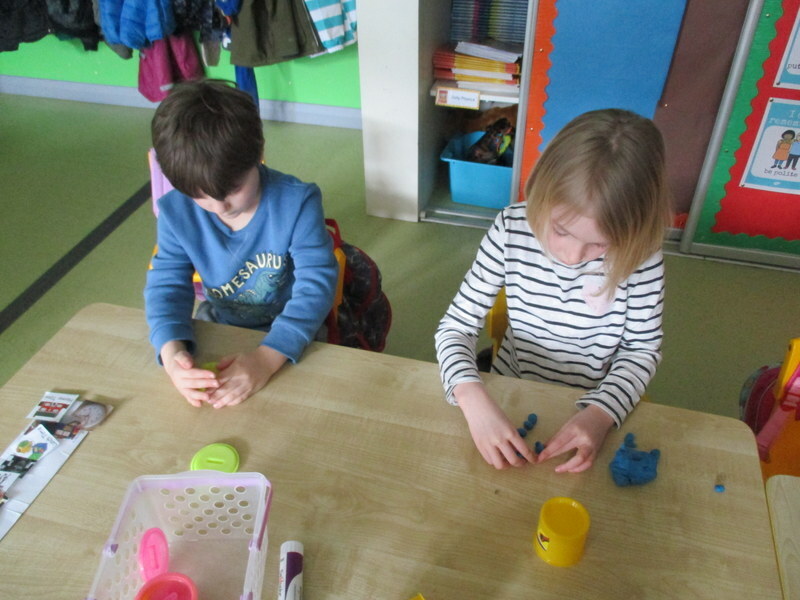 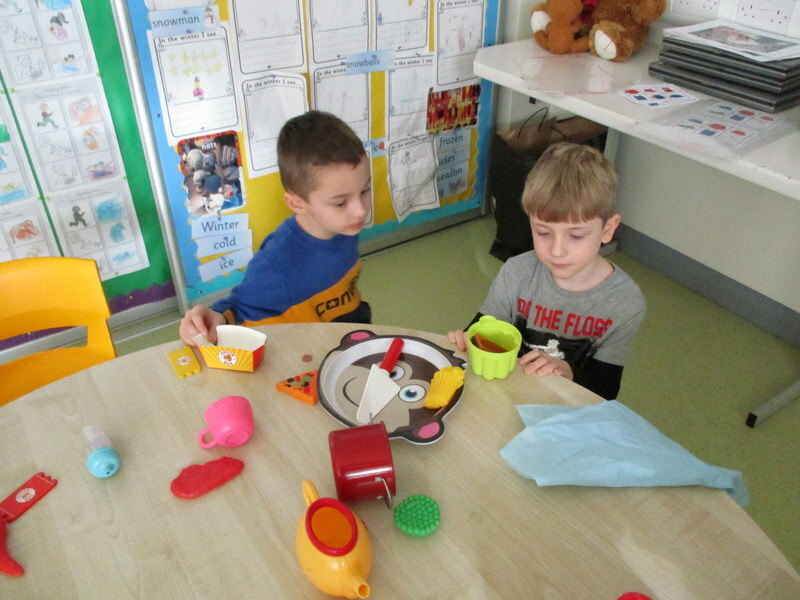 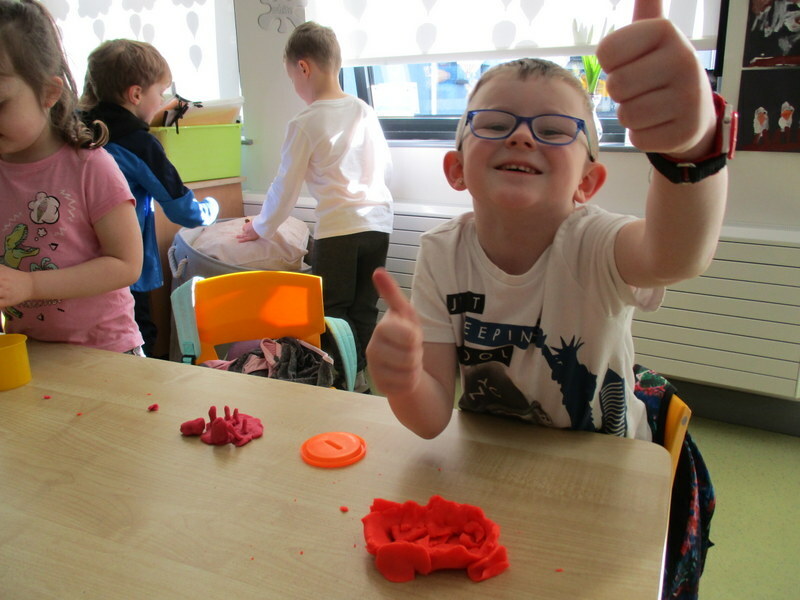 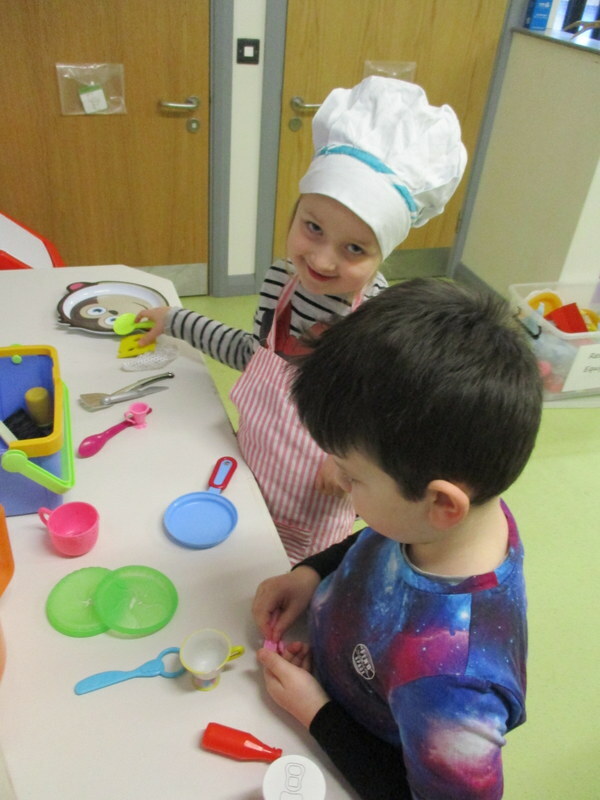 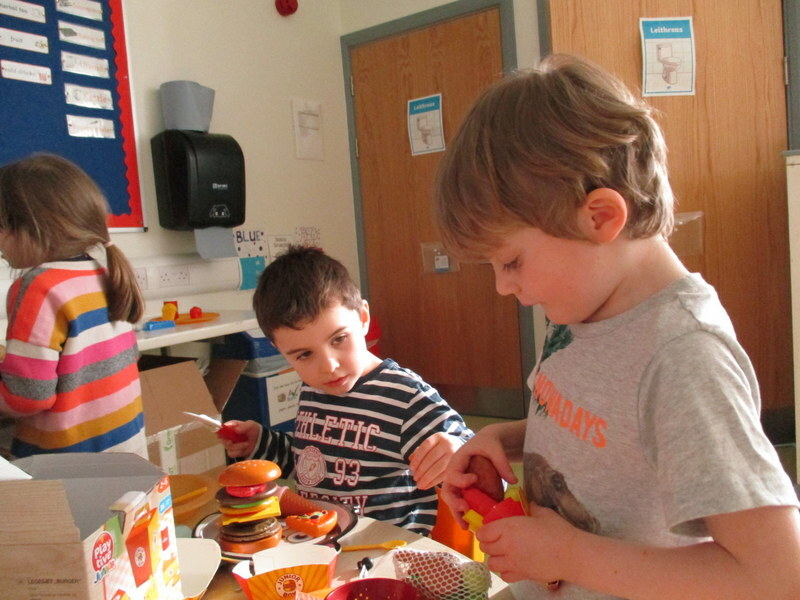 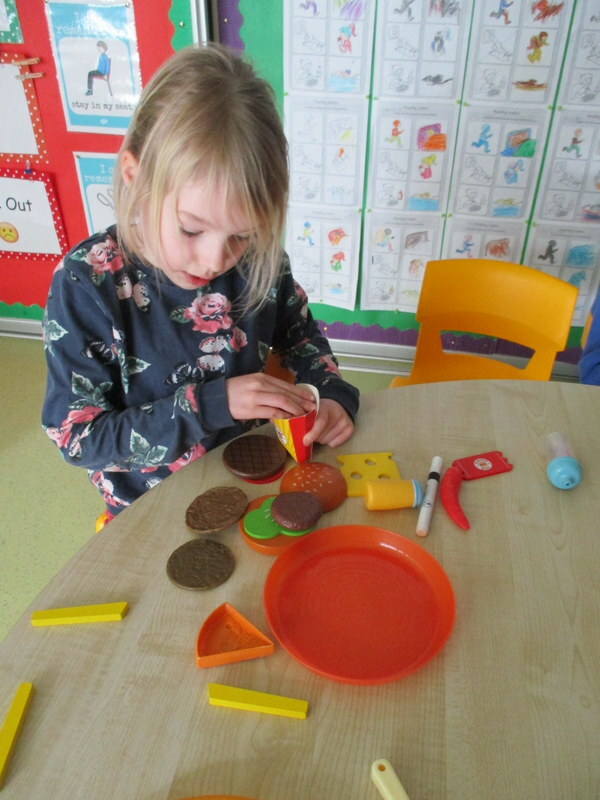 For Aistear in February, we were at the restaurant- taking food orders, acting as customers, cooking as chefs, building beautiful restaurants and making recipes using playdoh. 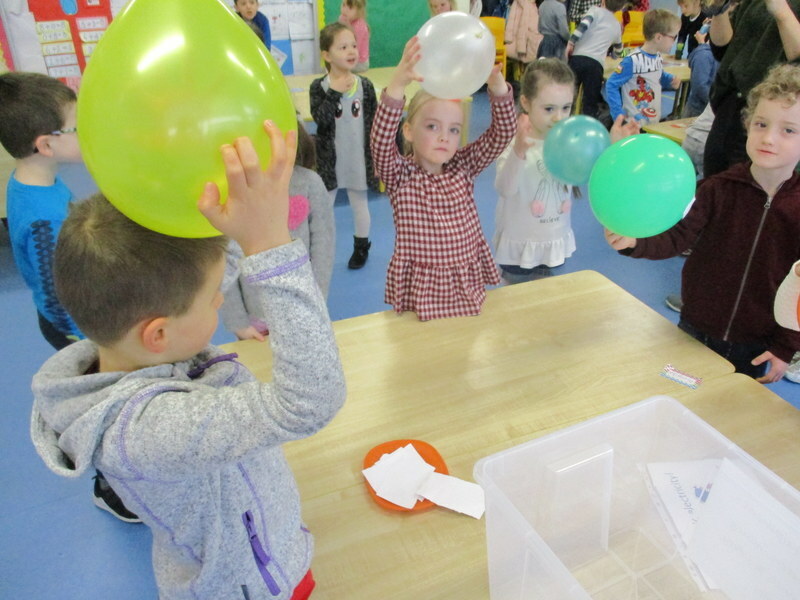 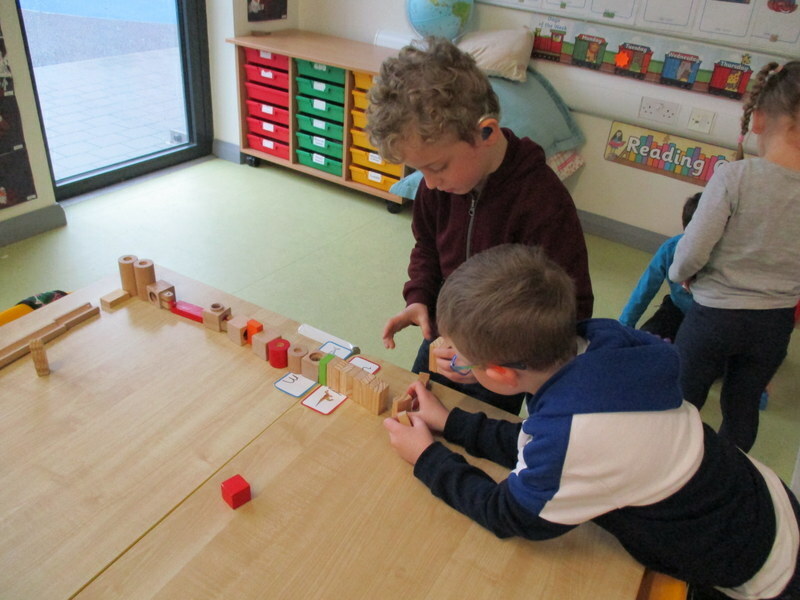 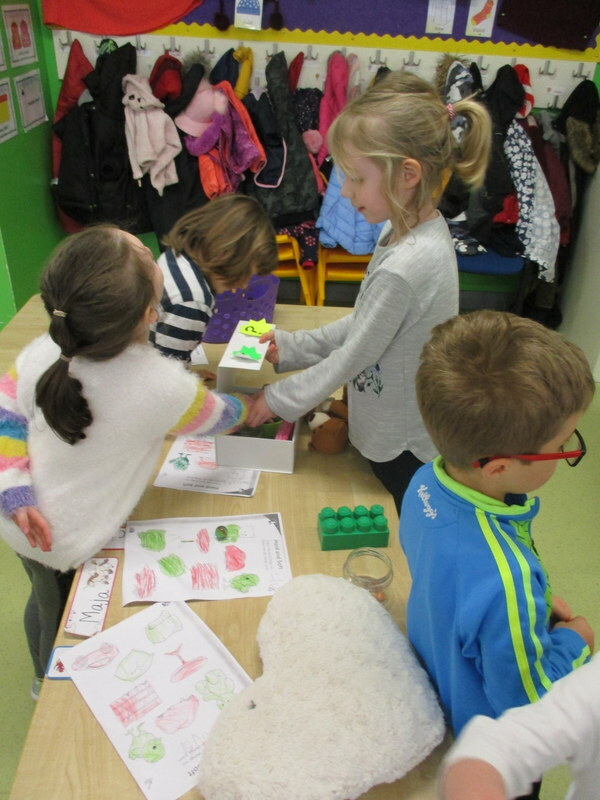 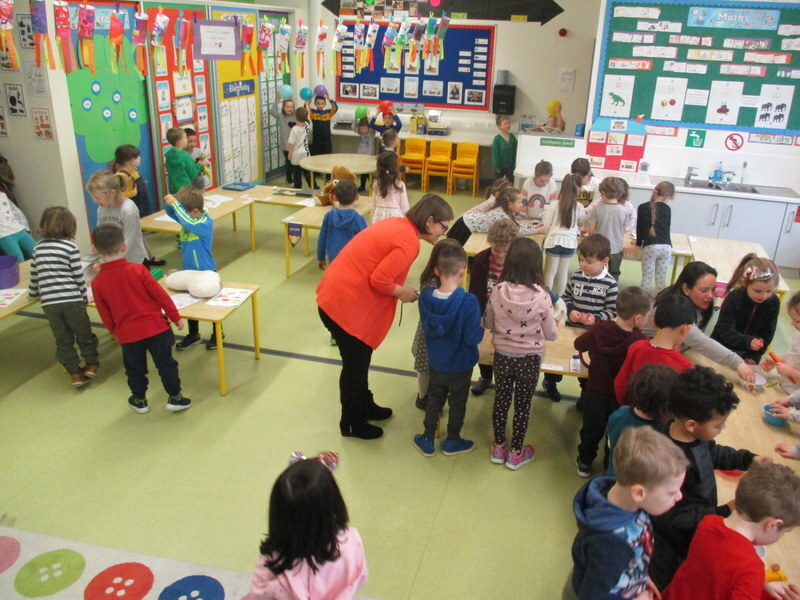 We had a STEM (Science, Technology, Engineering and Maths) exhibition with junior and senior infants. 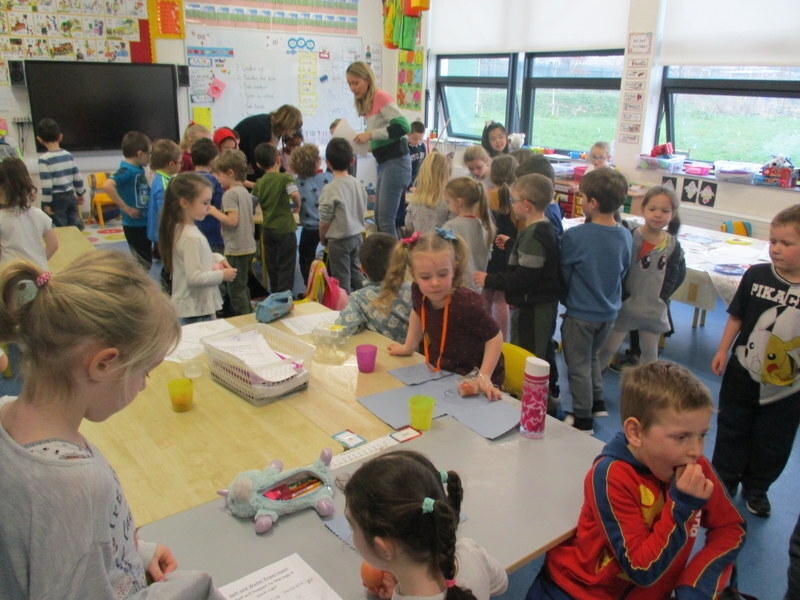 We visited the other classes to see what they have been working on and they came to visit us so we could show them our different experiments! 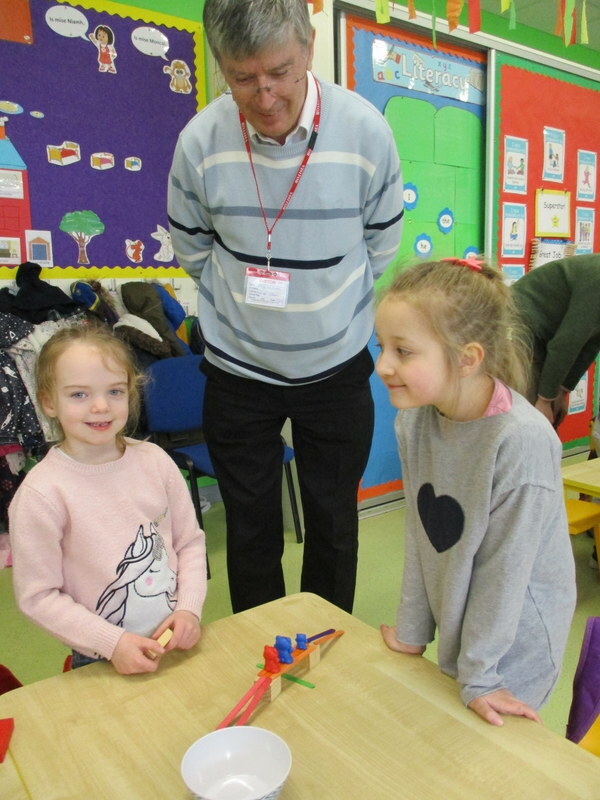 Also in science, Tony came in to visit us for Engineers Week!!! 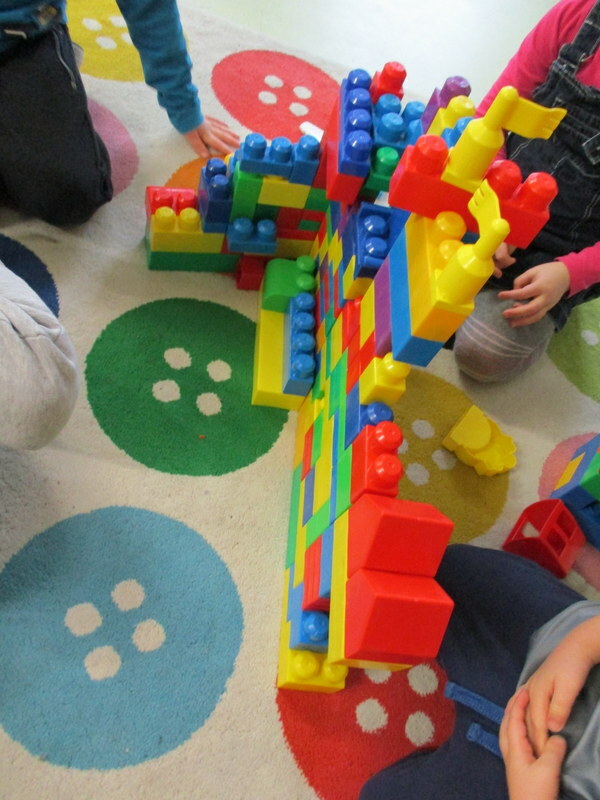 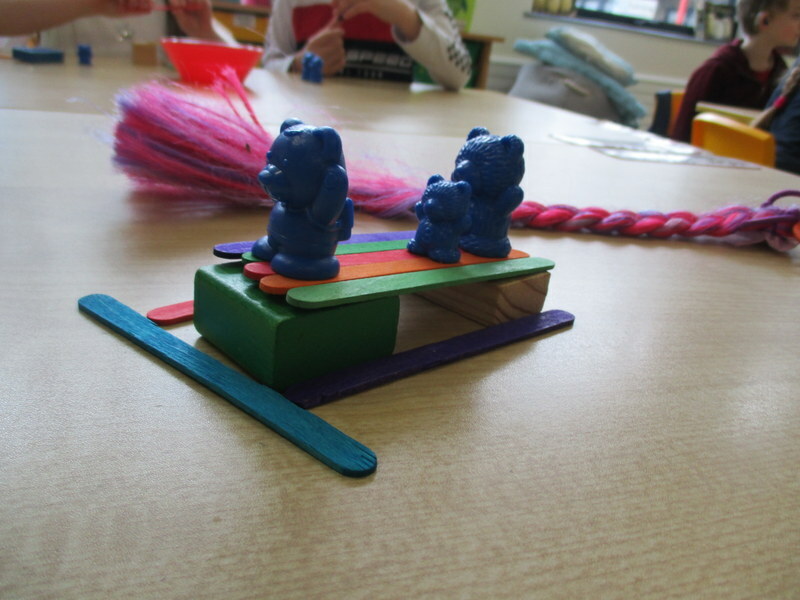 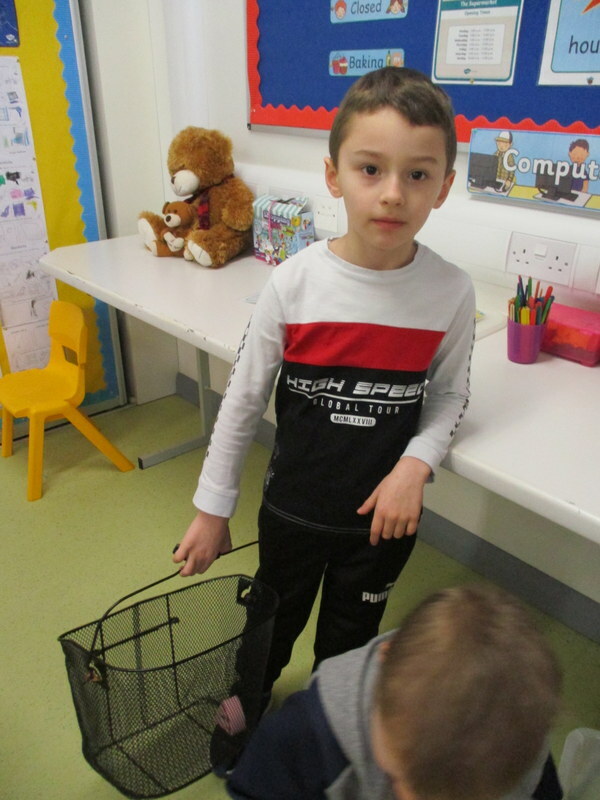 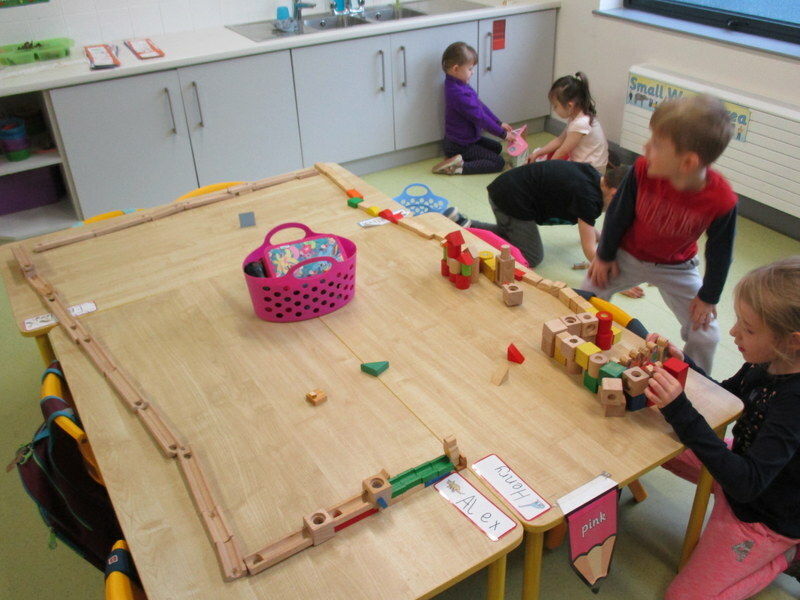 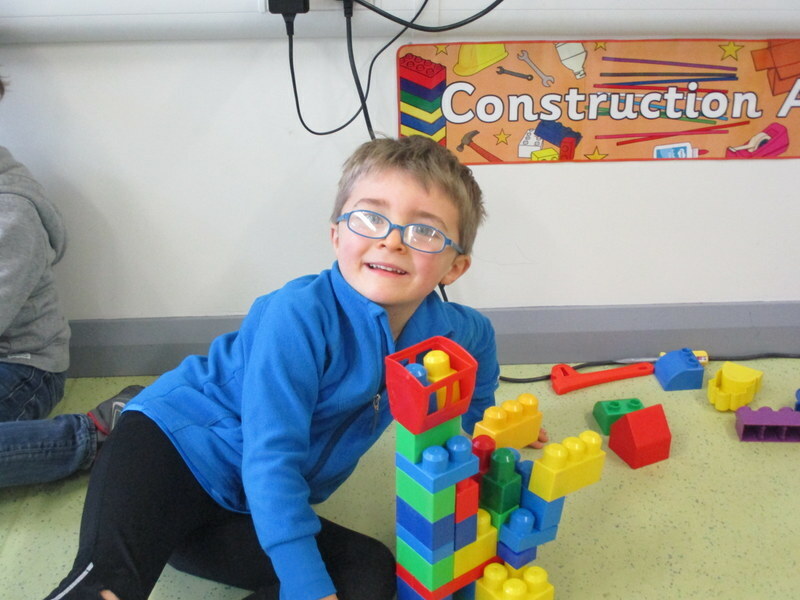 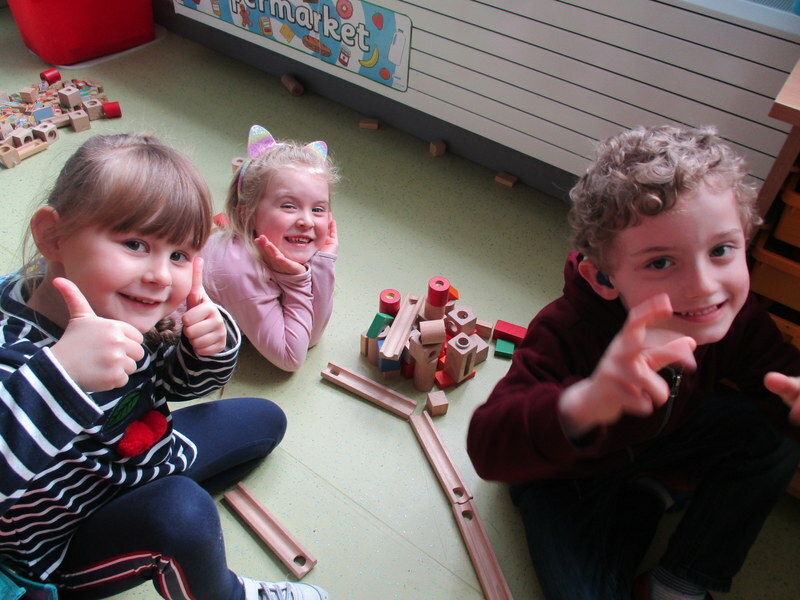 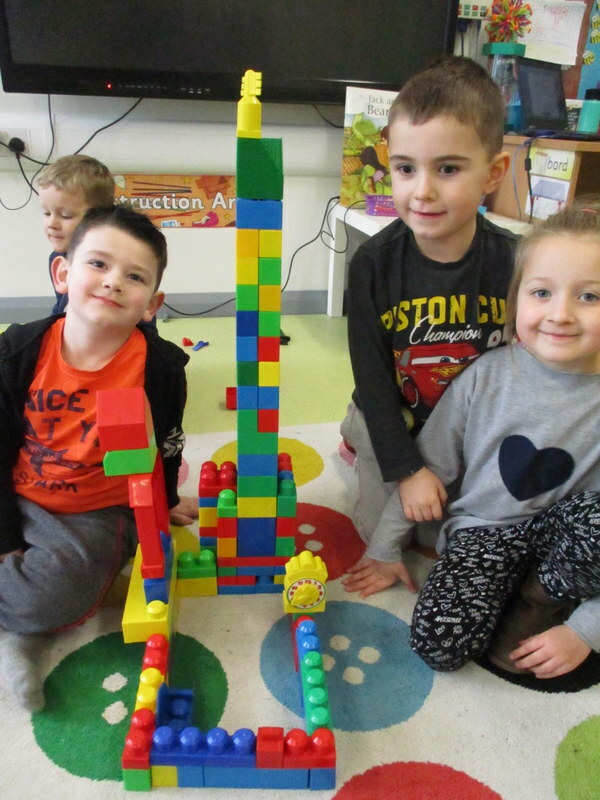 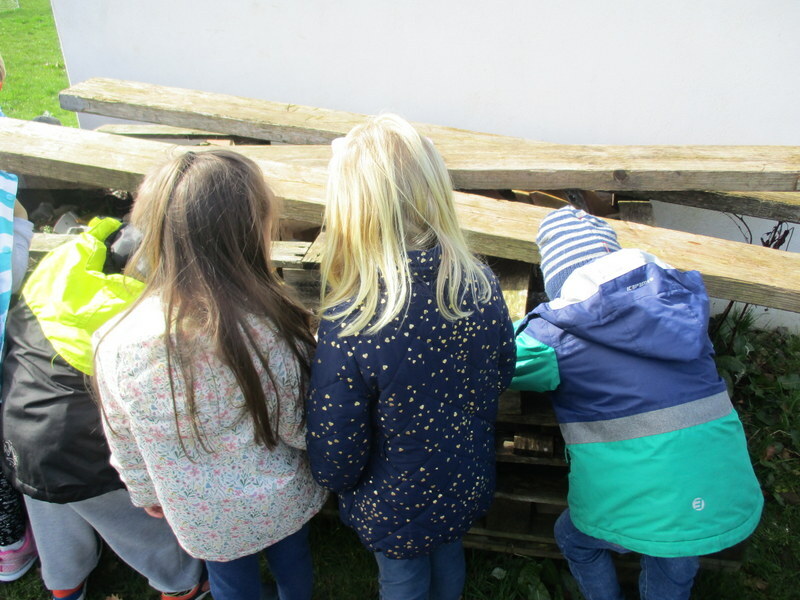 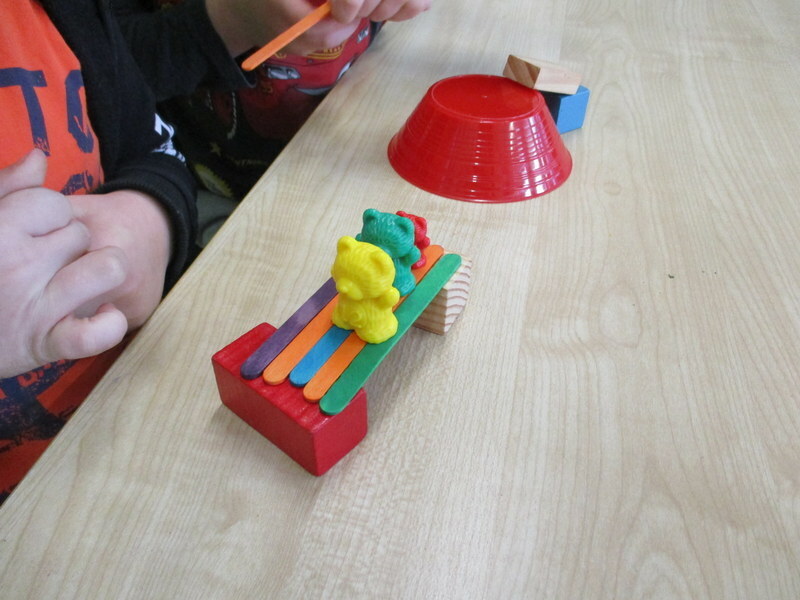 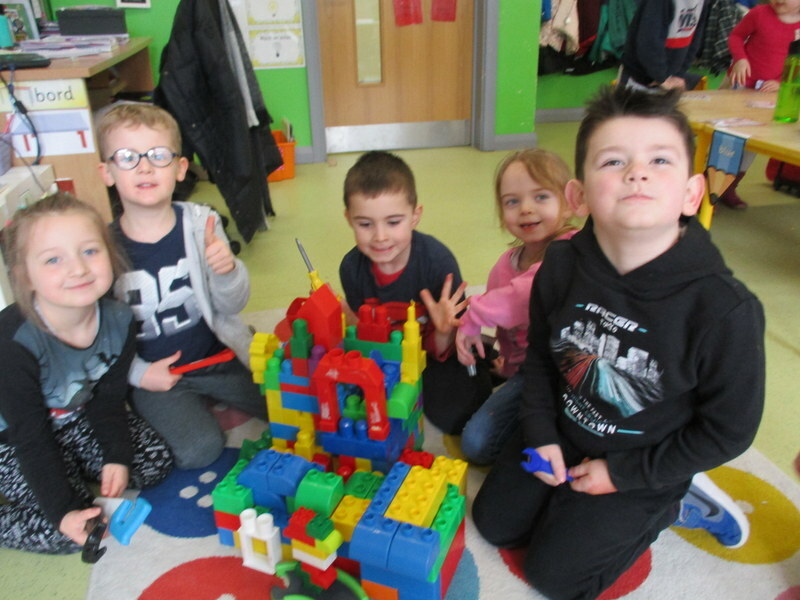 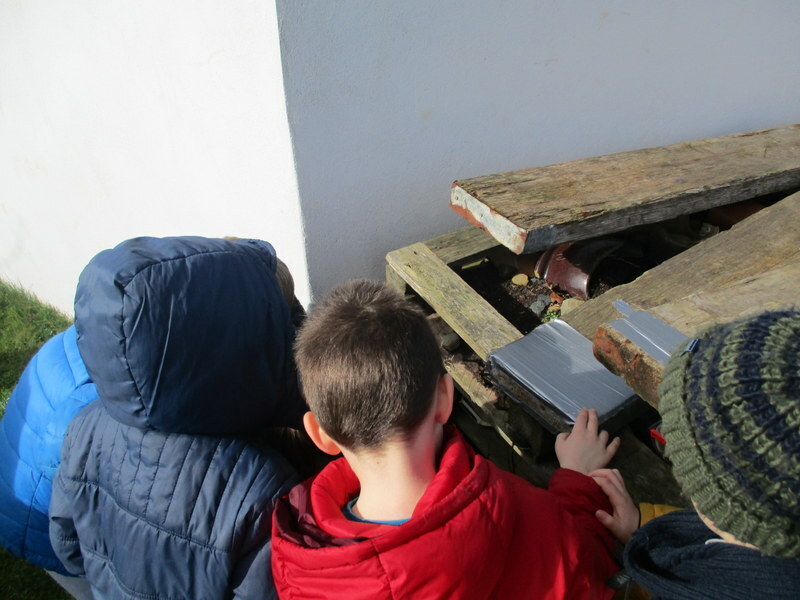 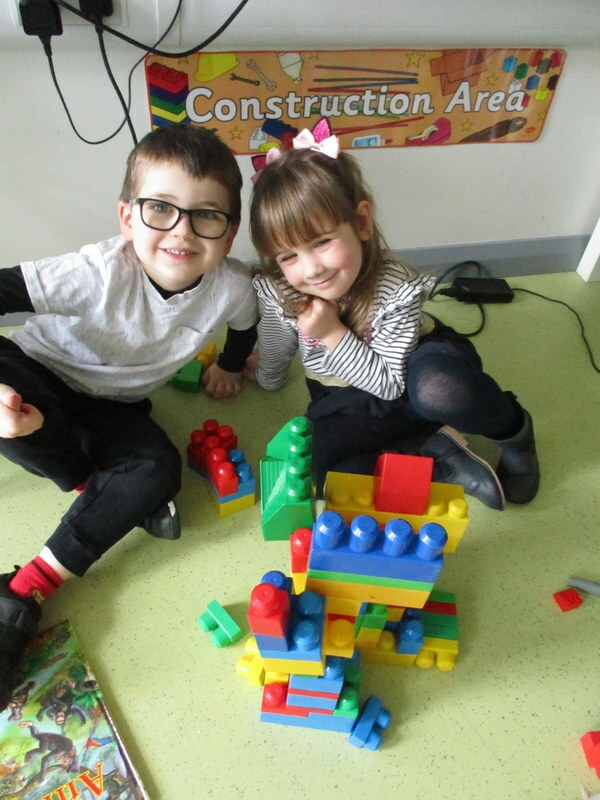 He had a big problem and needed our help- he needed us to build a bridge for Mammy Bear, Daddy Bear and Baby Bear so that they could get over the river on their walk to school. 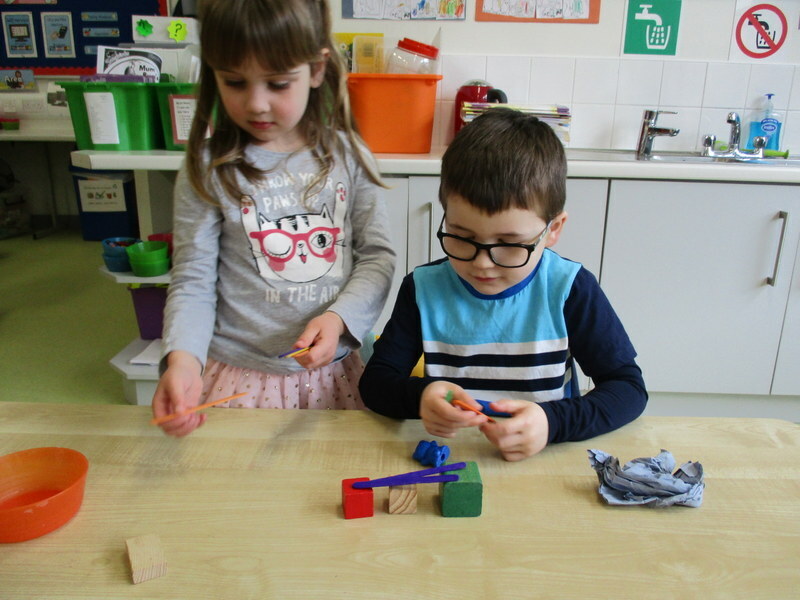 We made some amazing bridges! 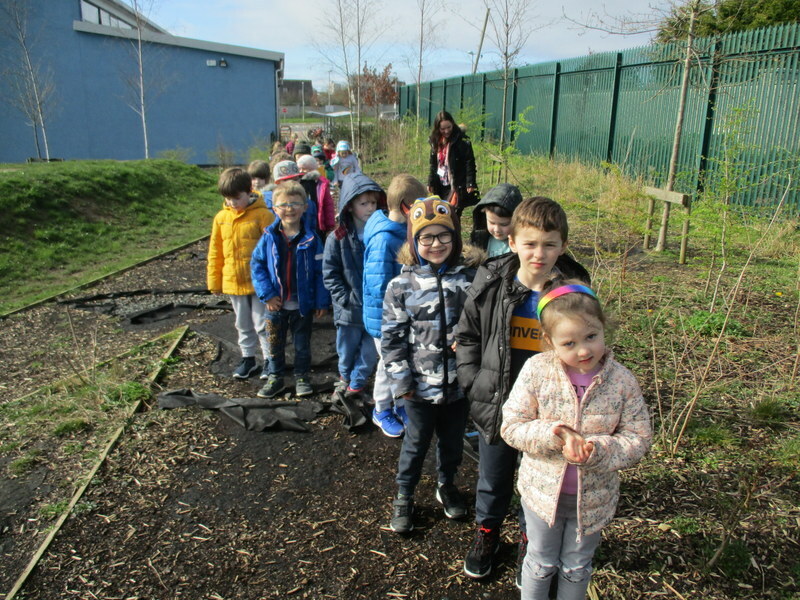 We went on a lovely Spring walk to find some buds, blossoms, insects and lots more. 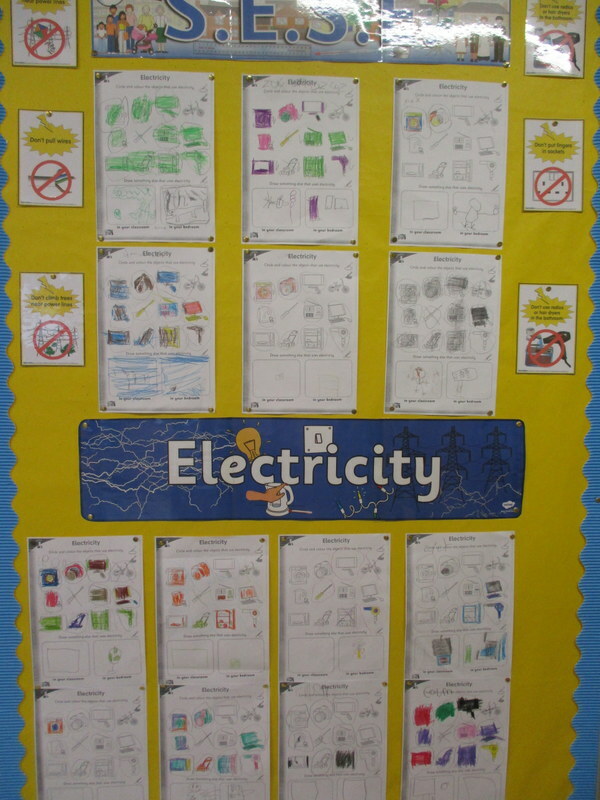 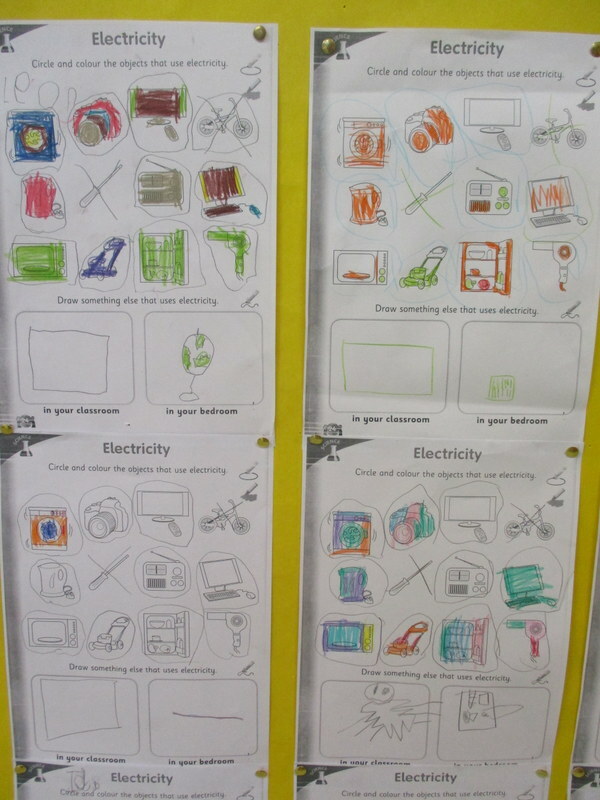 We have also been learning about electricity and the life-cycle of the frog. 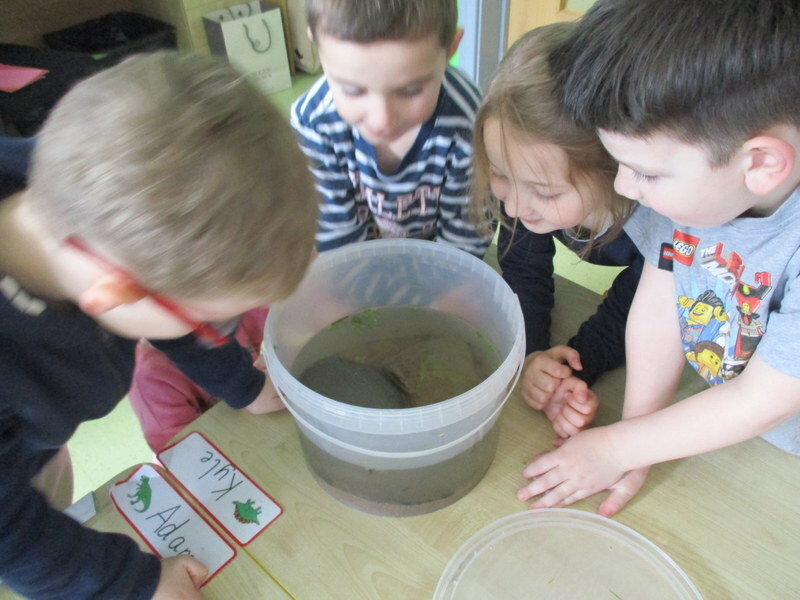 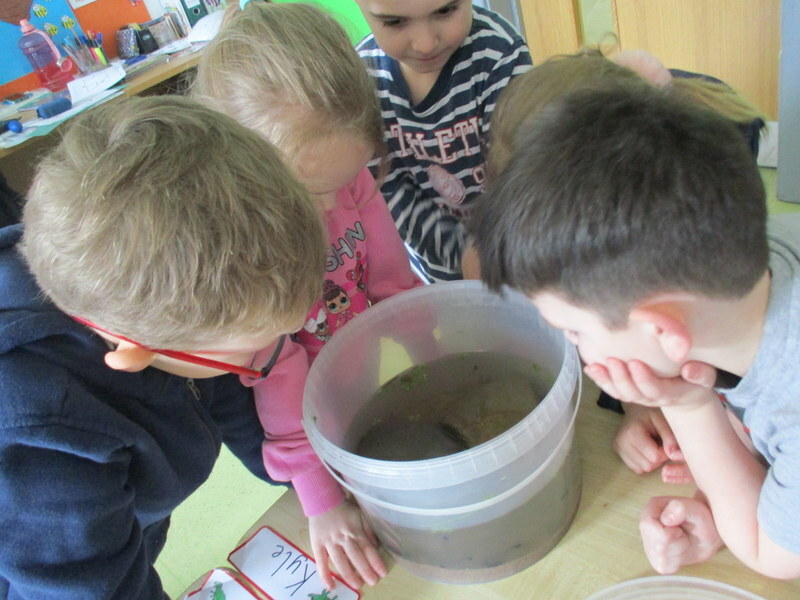 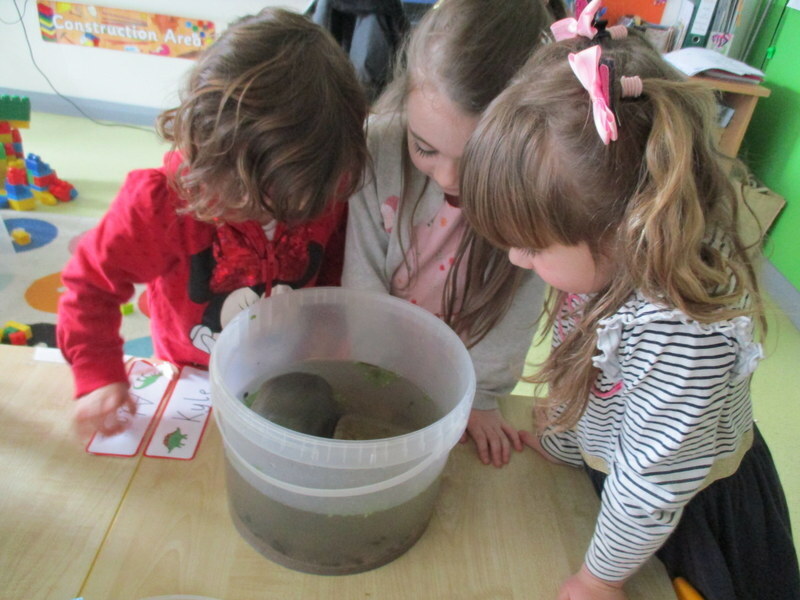 We have some tadpoles in our classroom and we even sang a song to whole school about ‘5 Green and Speckled Frogs’ during assembly! 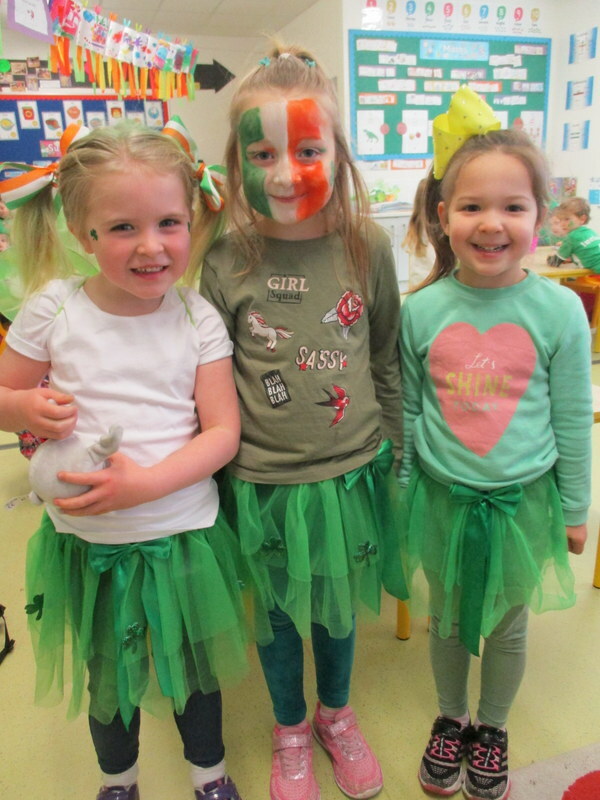 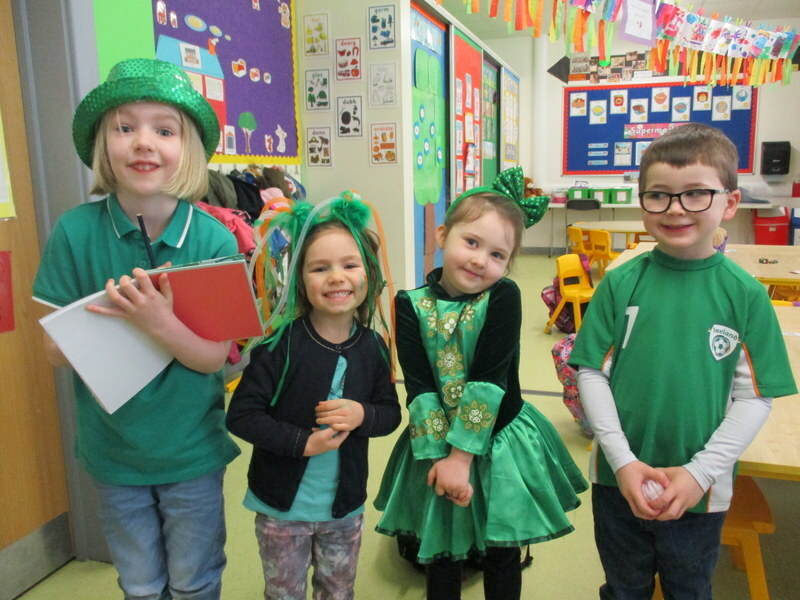 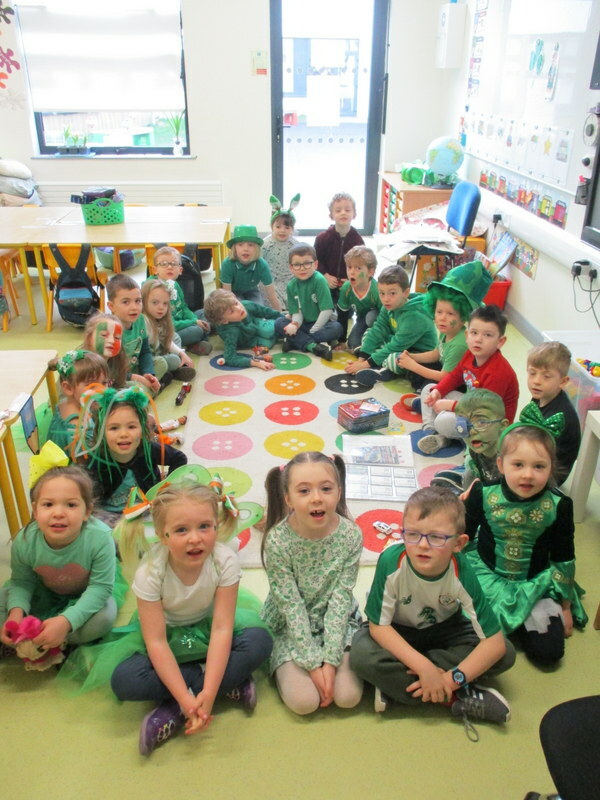 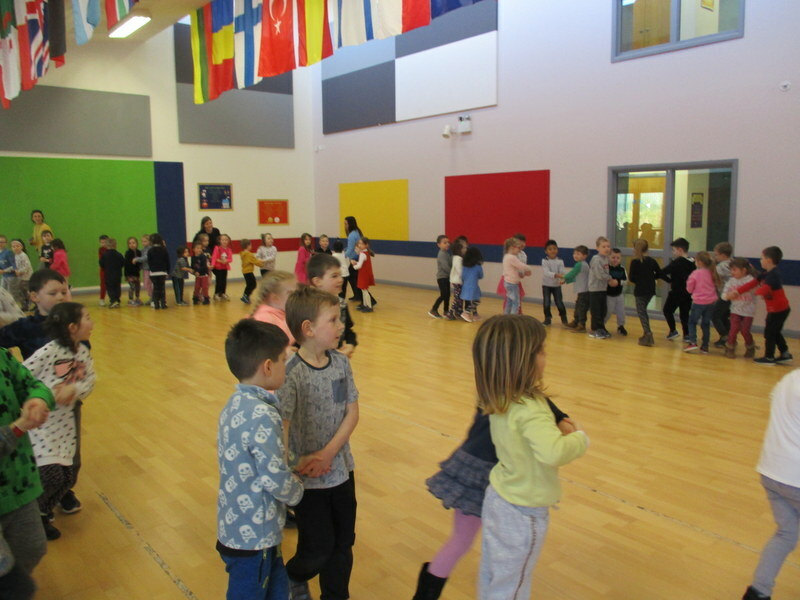 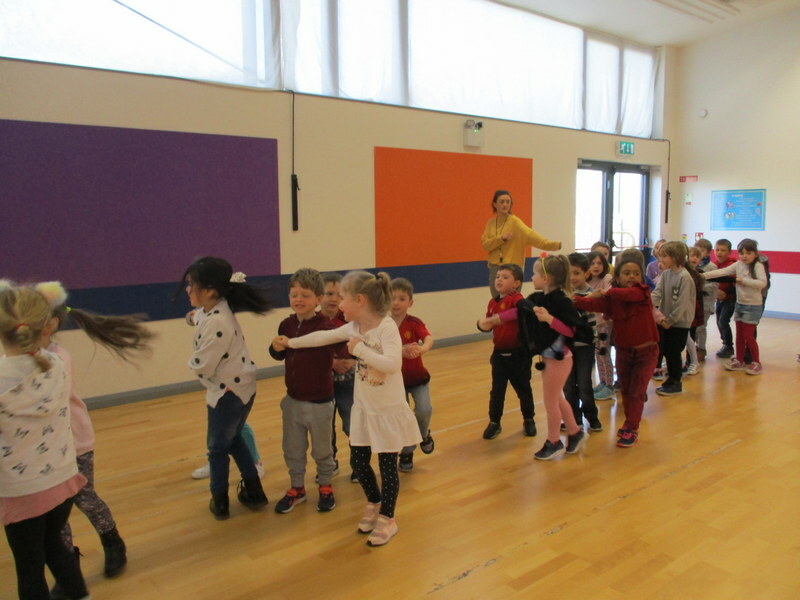 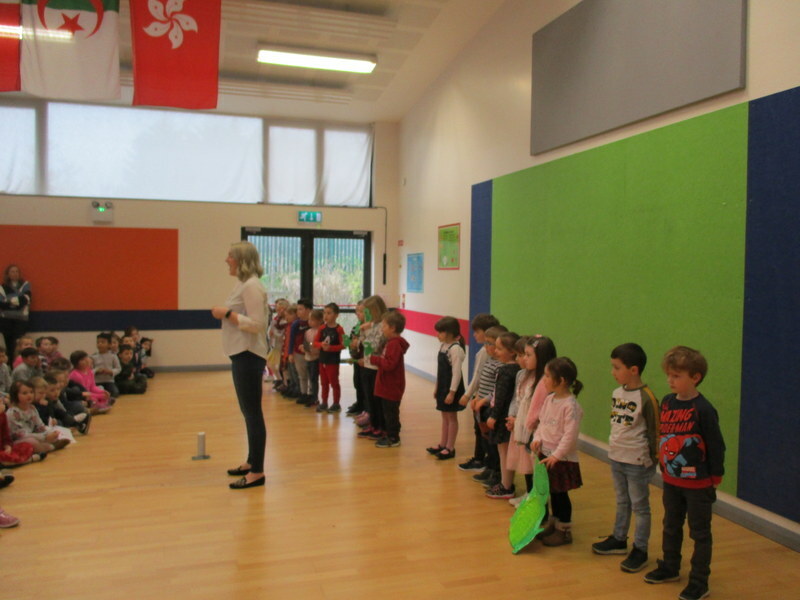 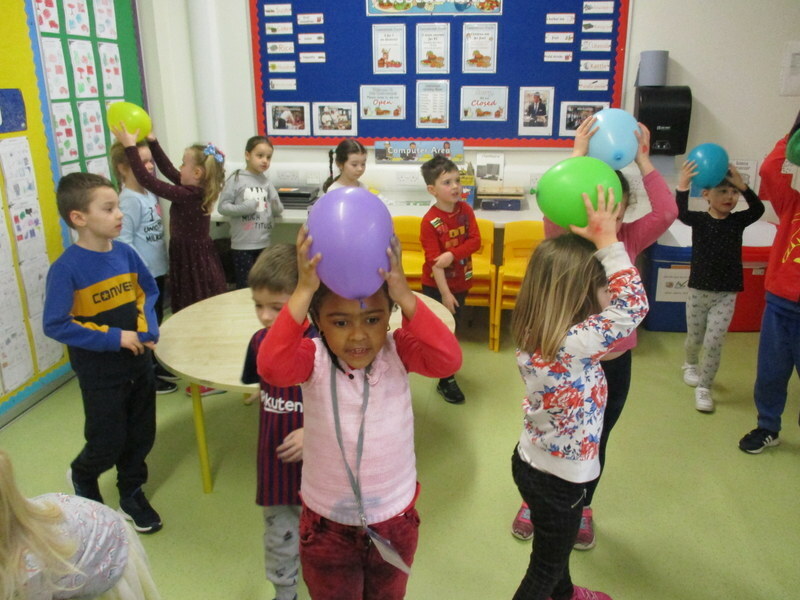 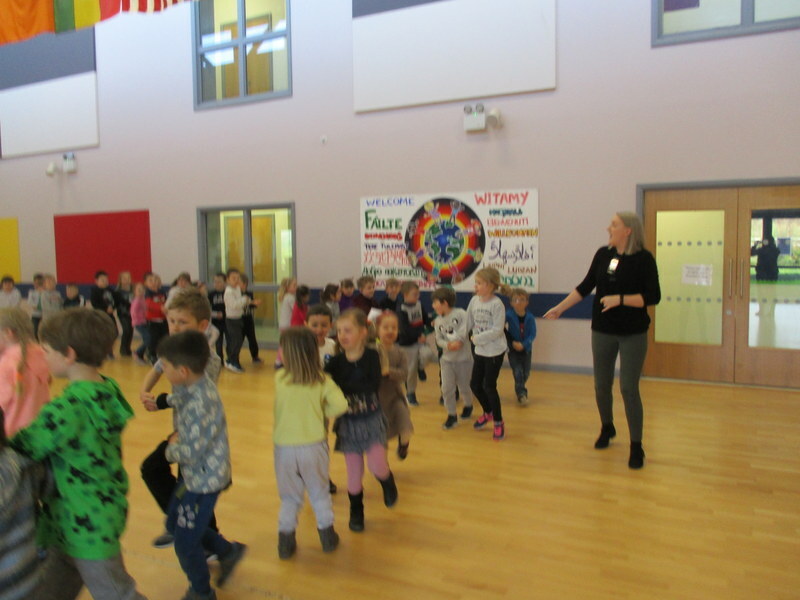 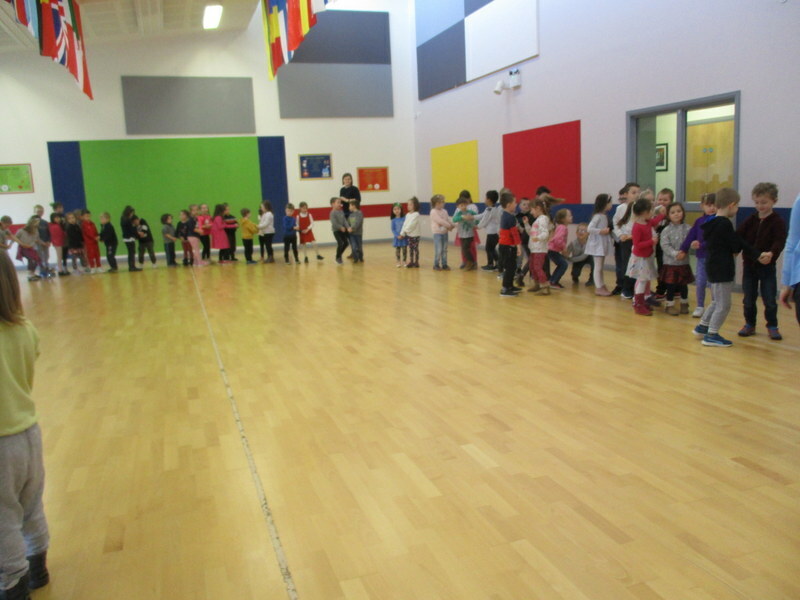 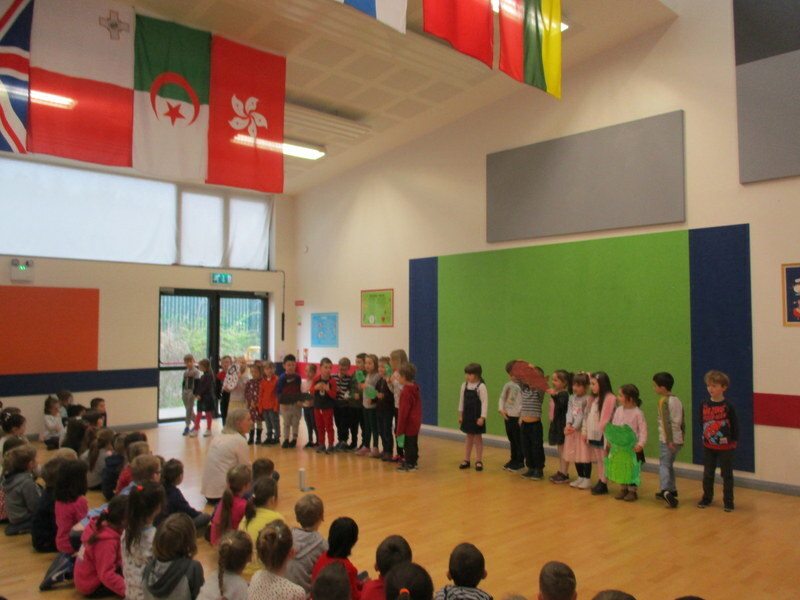 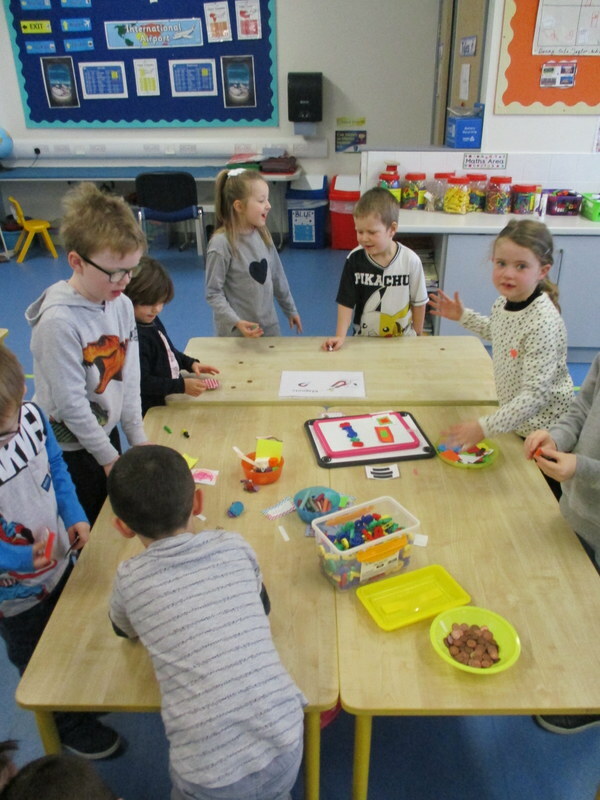 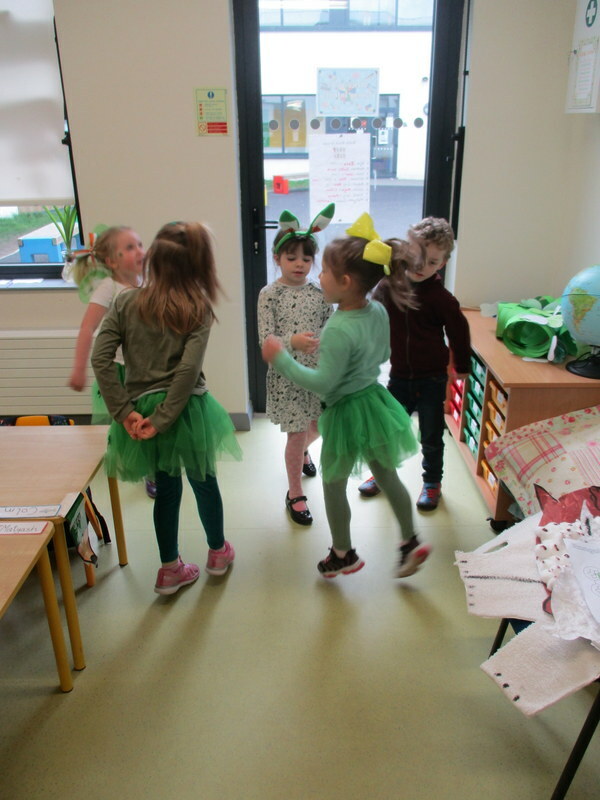 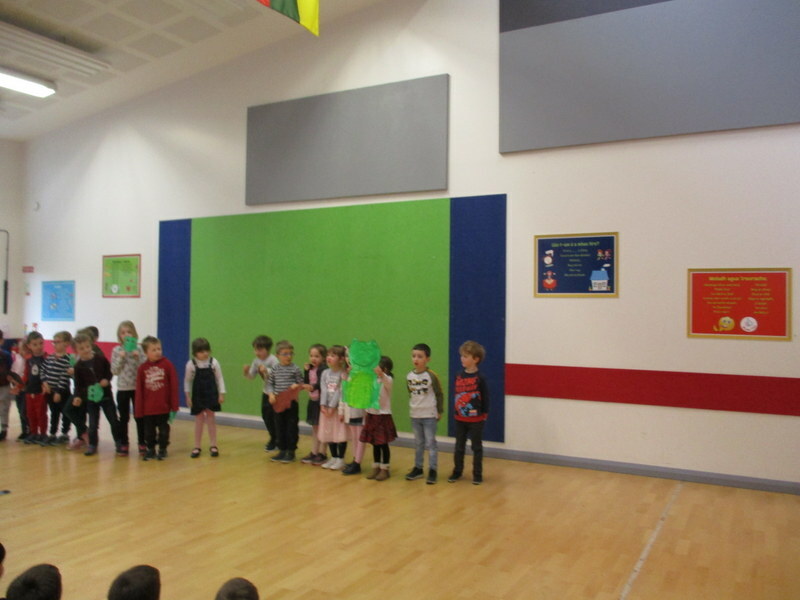 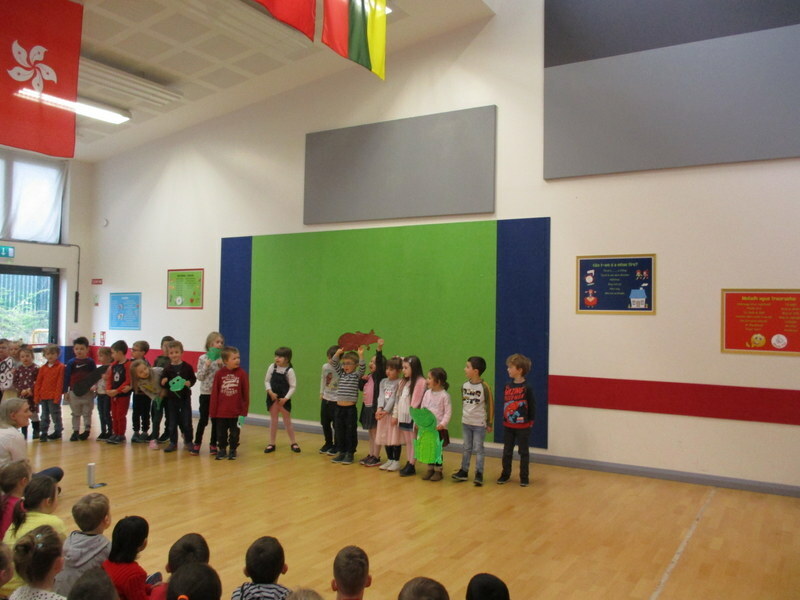 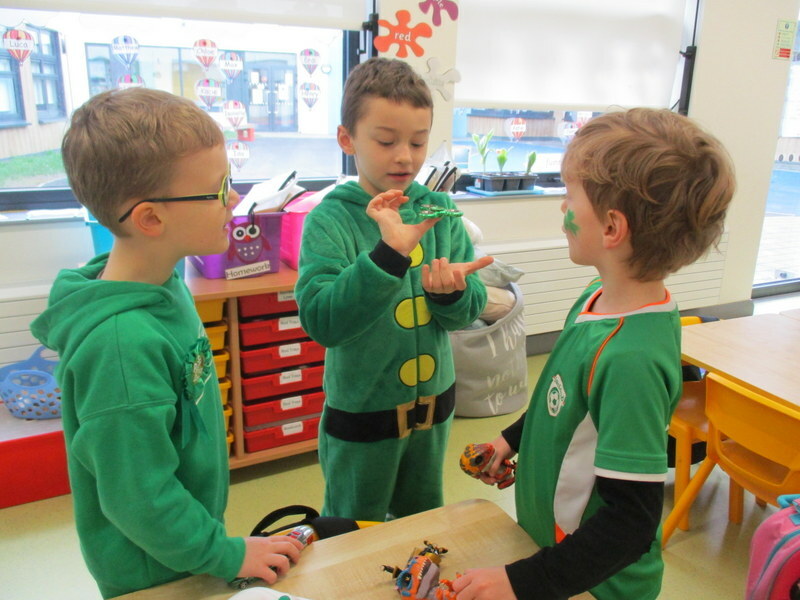 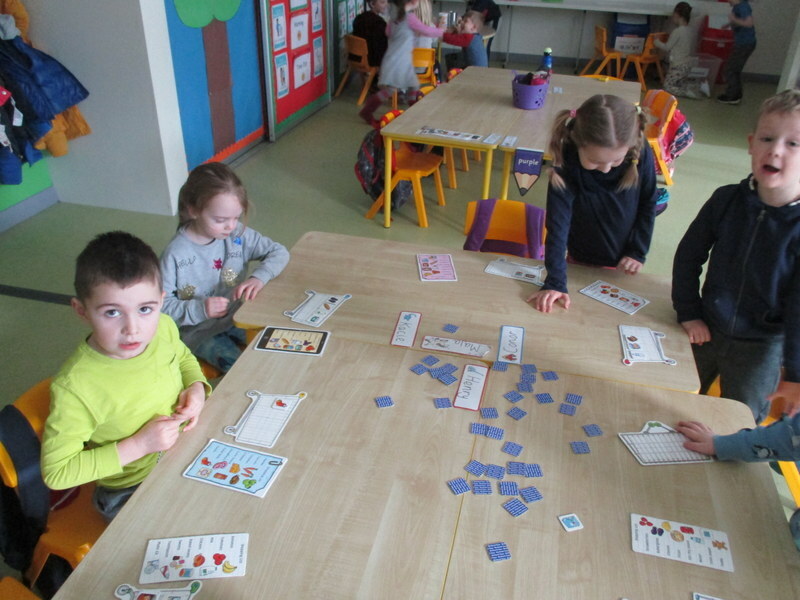 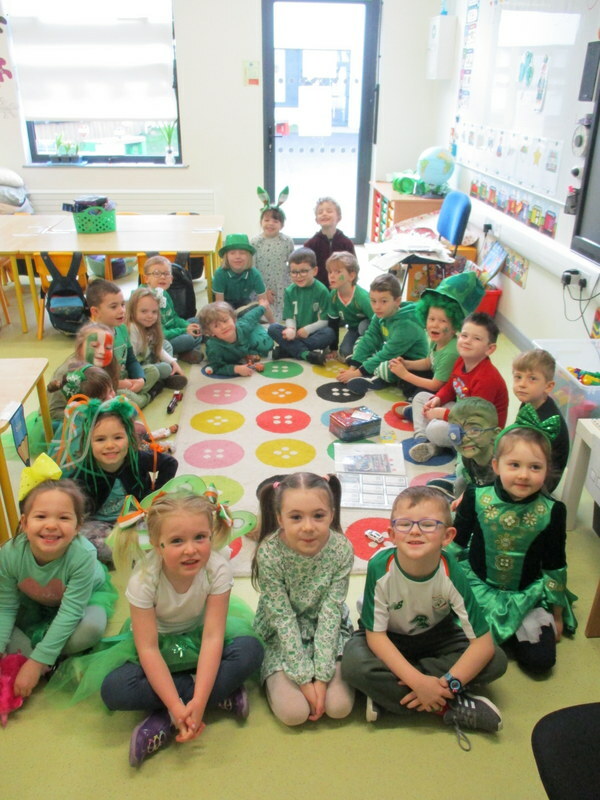 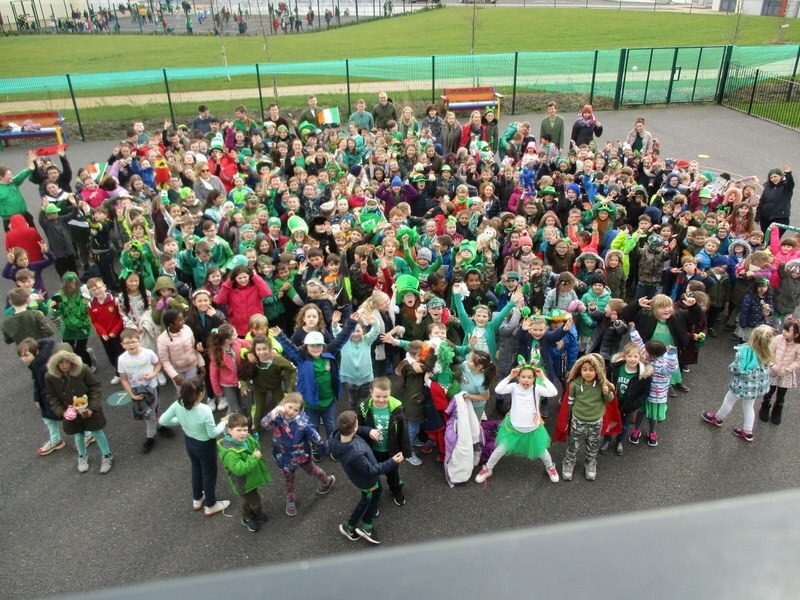 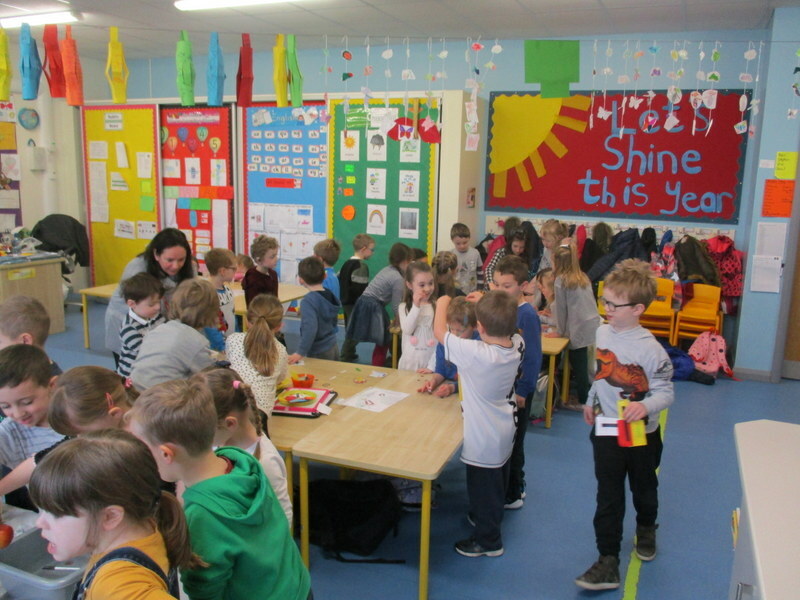 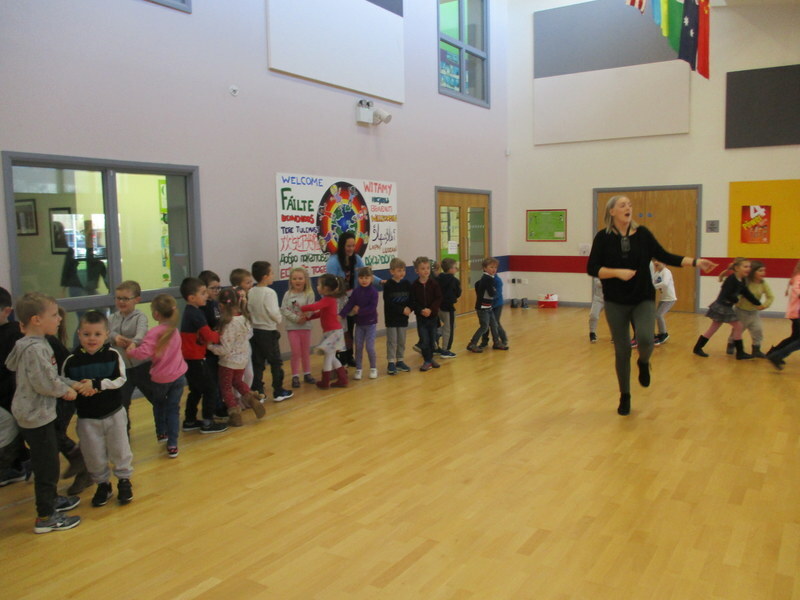 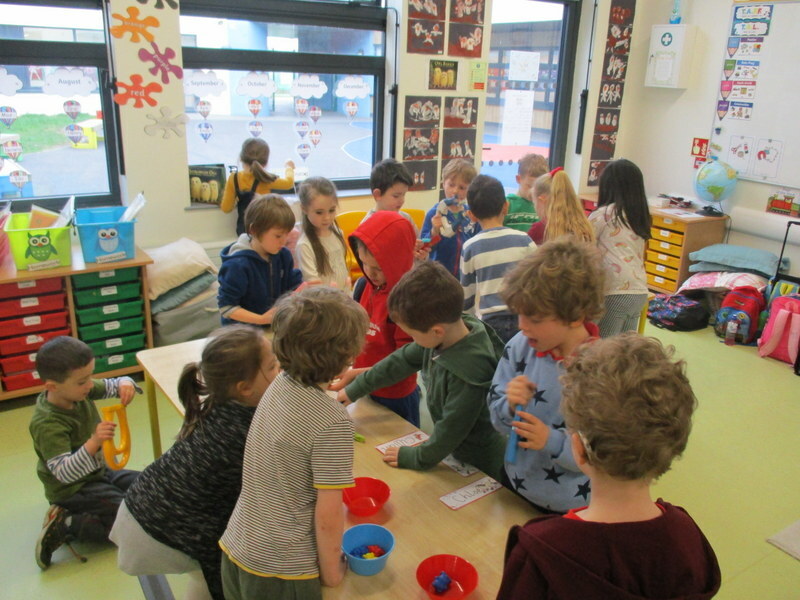 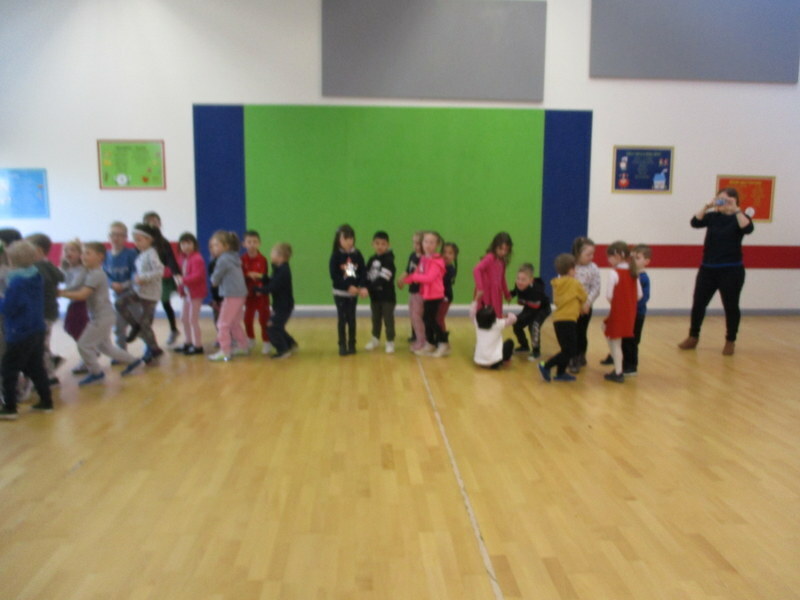 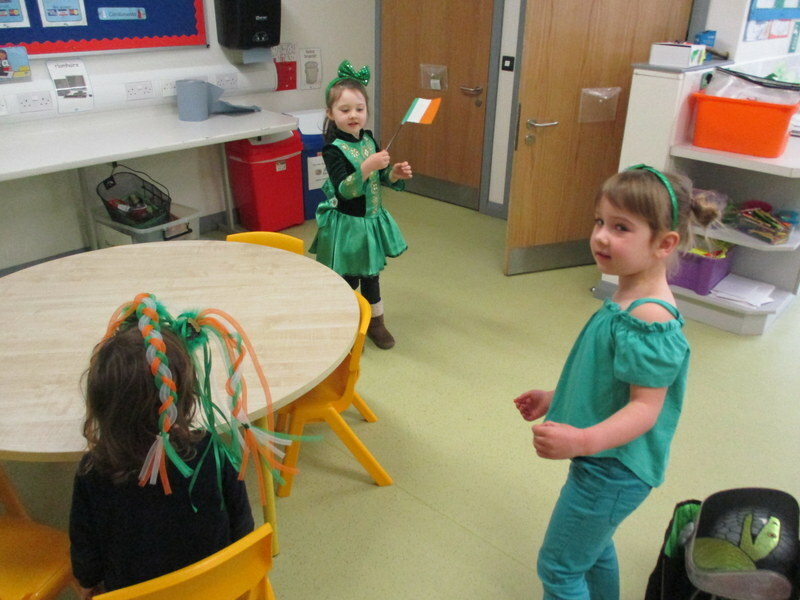 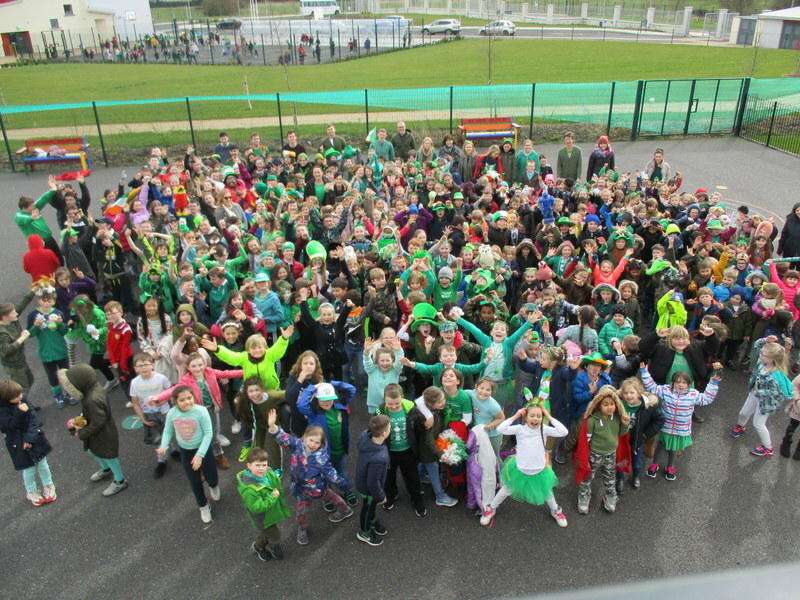 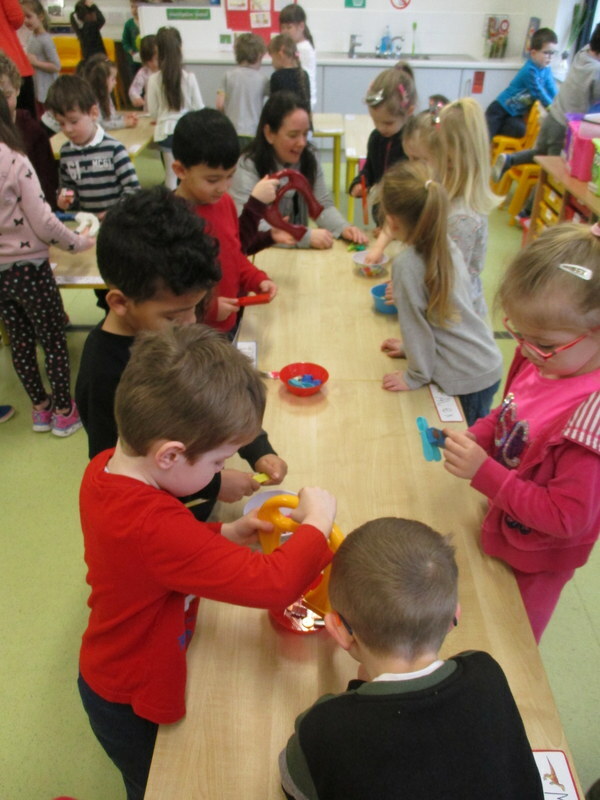 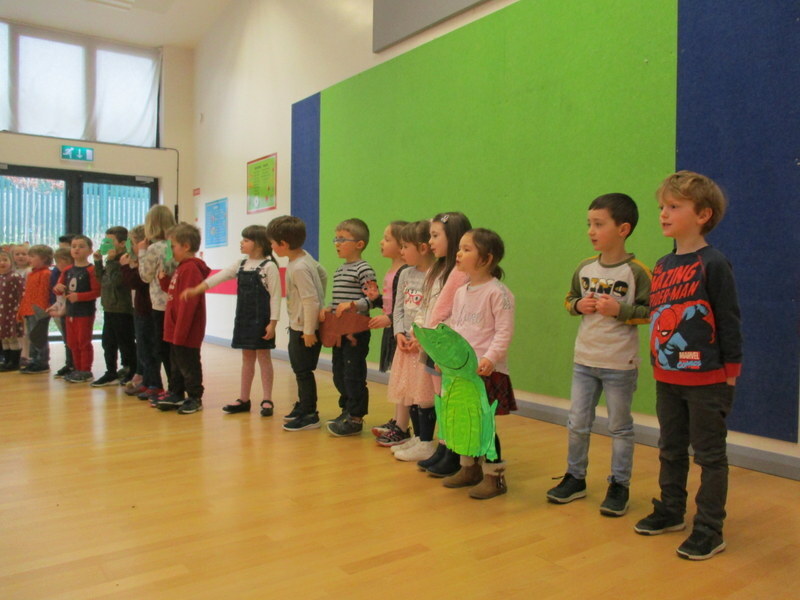 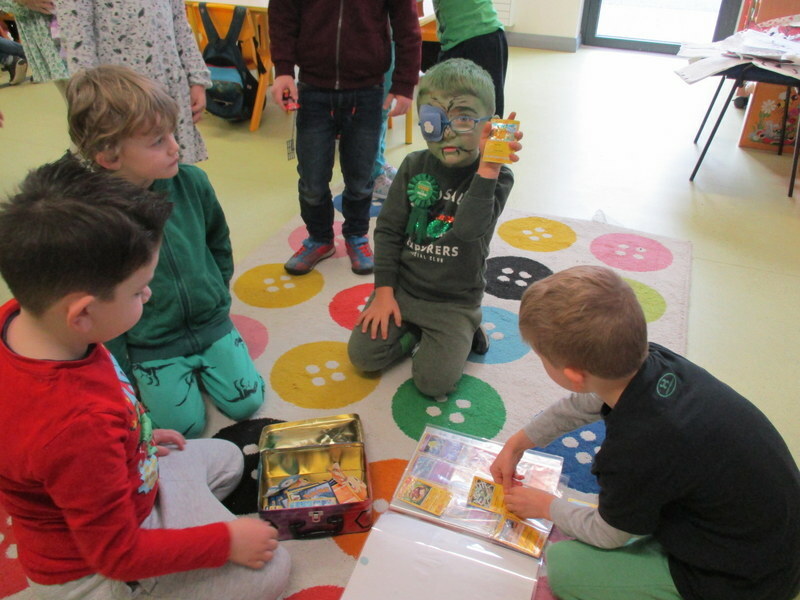 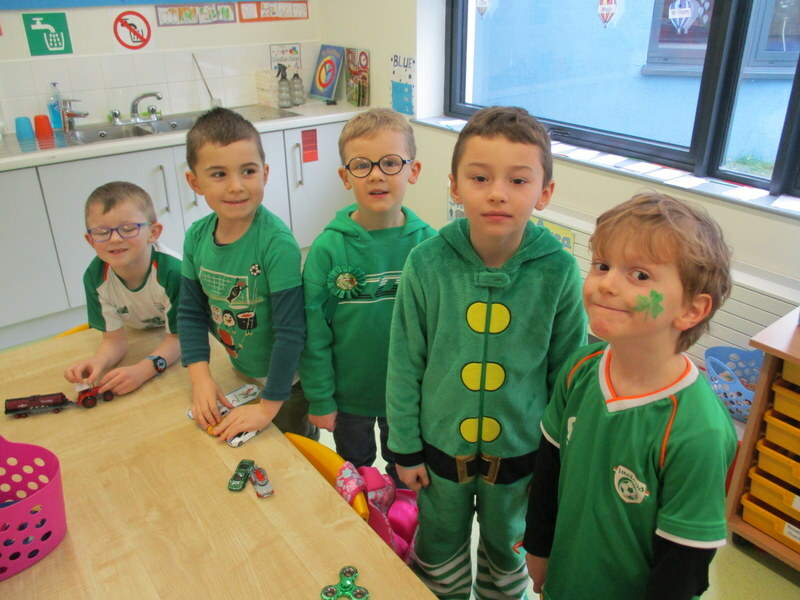 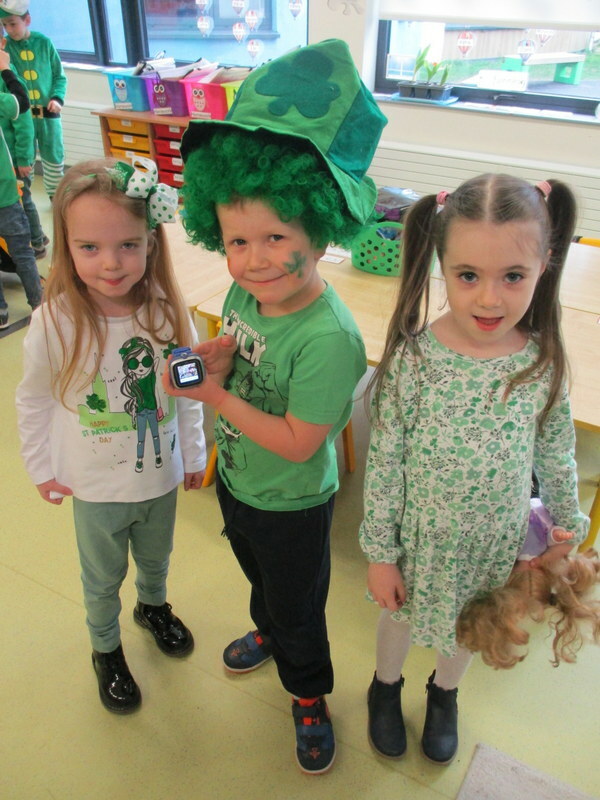 We celebrated Seachtain na Gaeilge by having a céilí with junior and senior infants, playing lots of games, singing Irish songs and our Lá Glas. 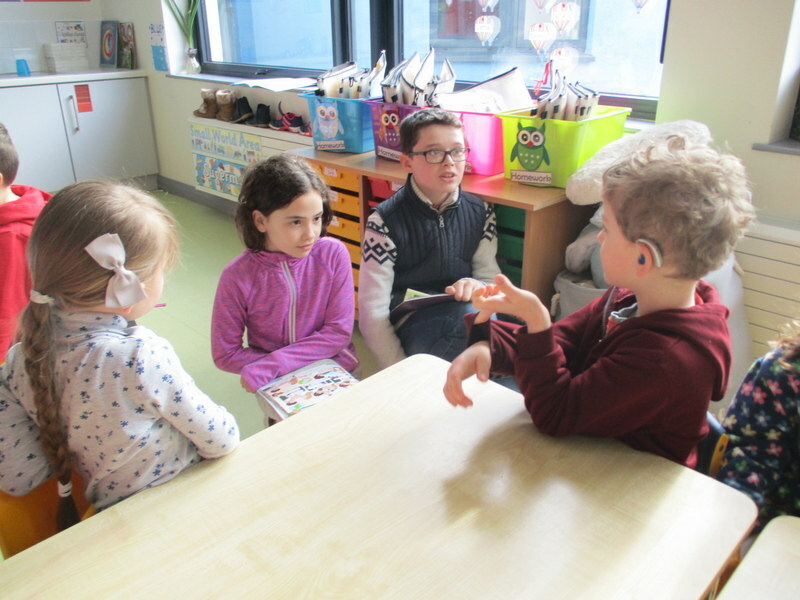 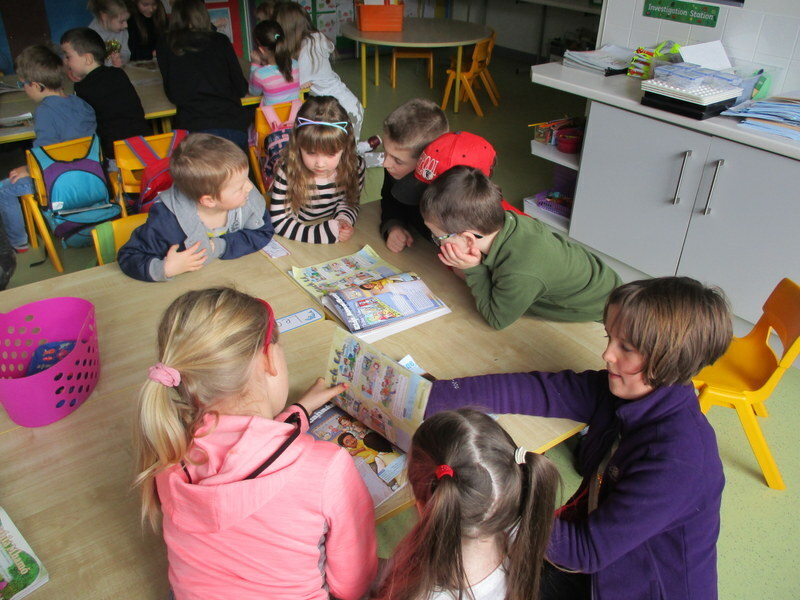 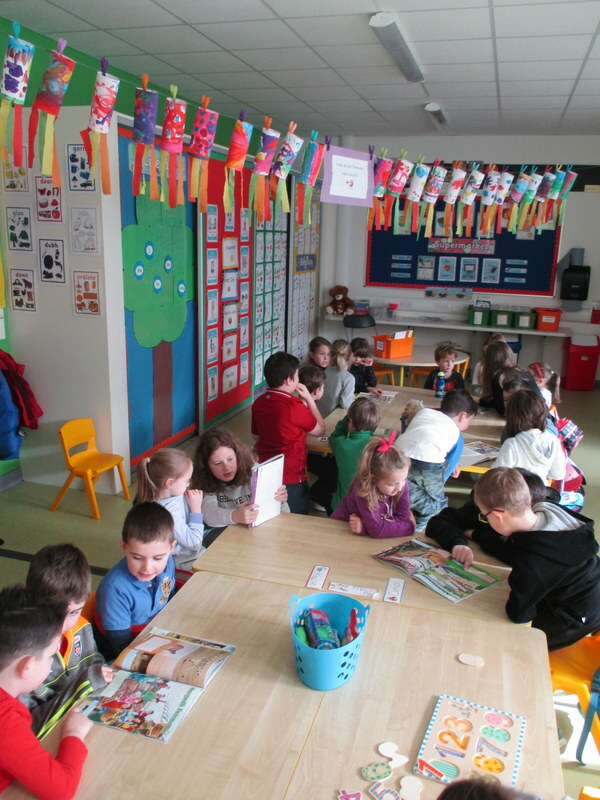 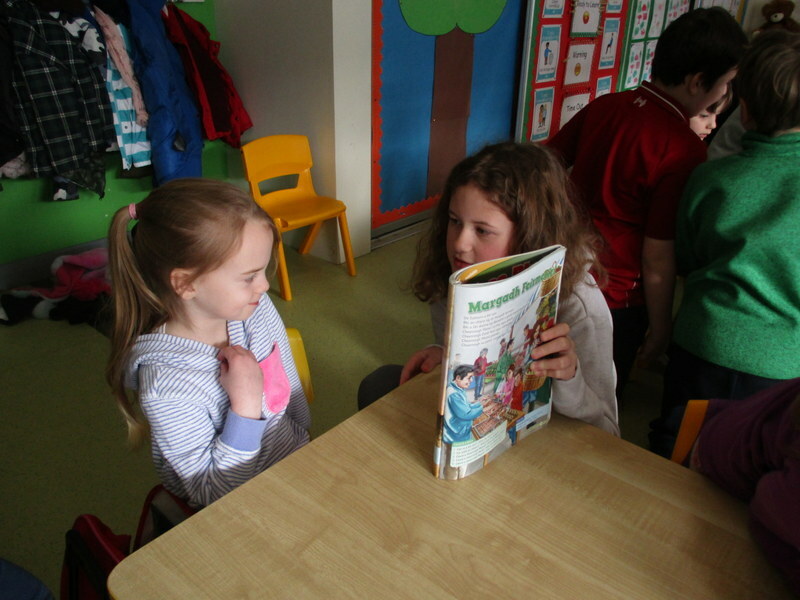 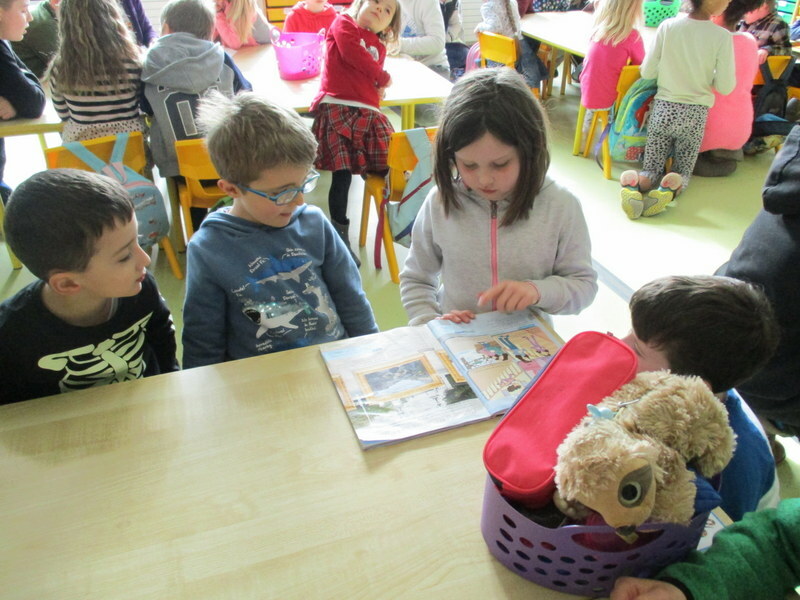 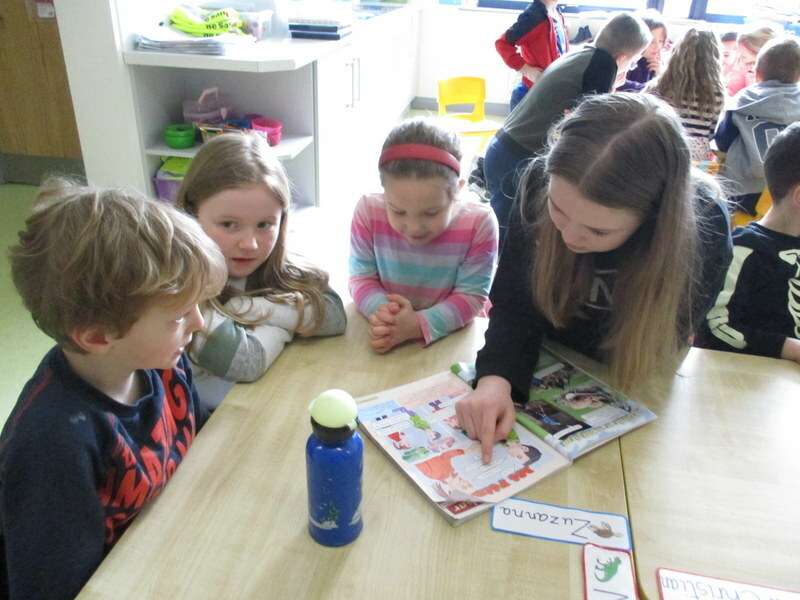 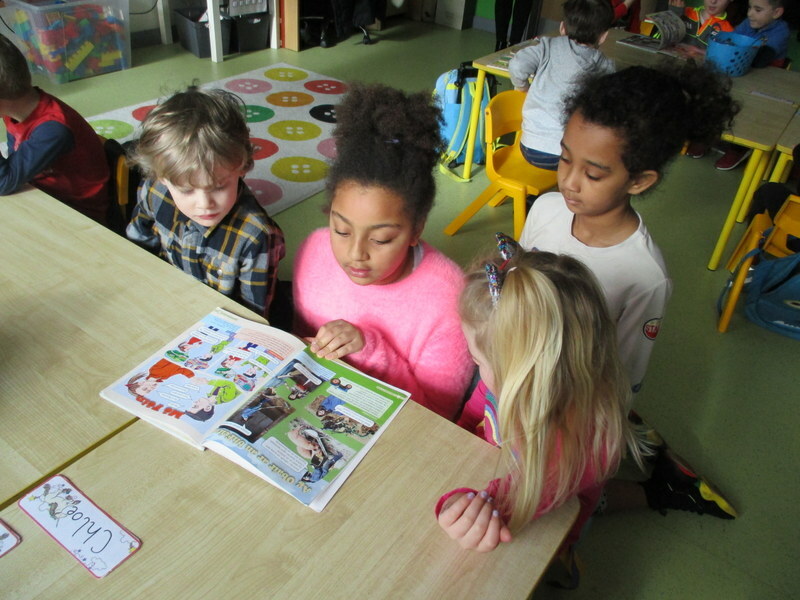 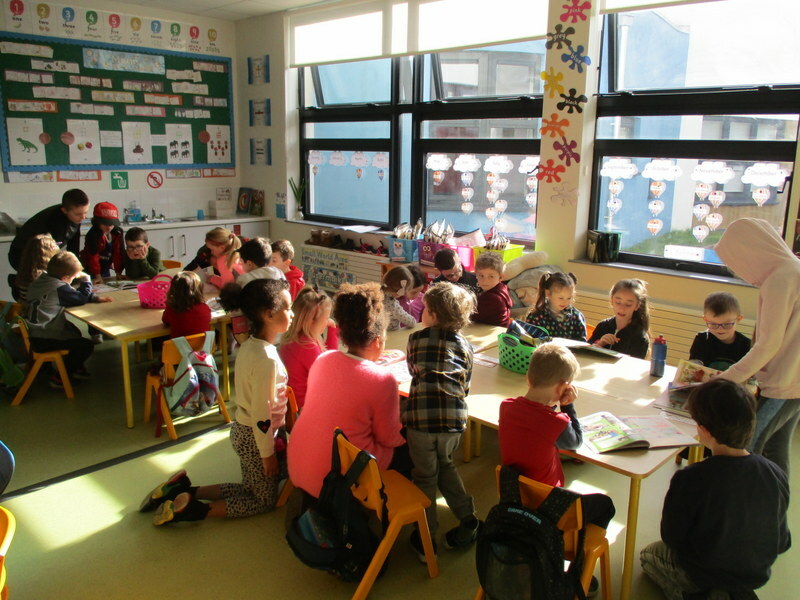 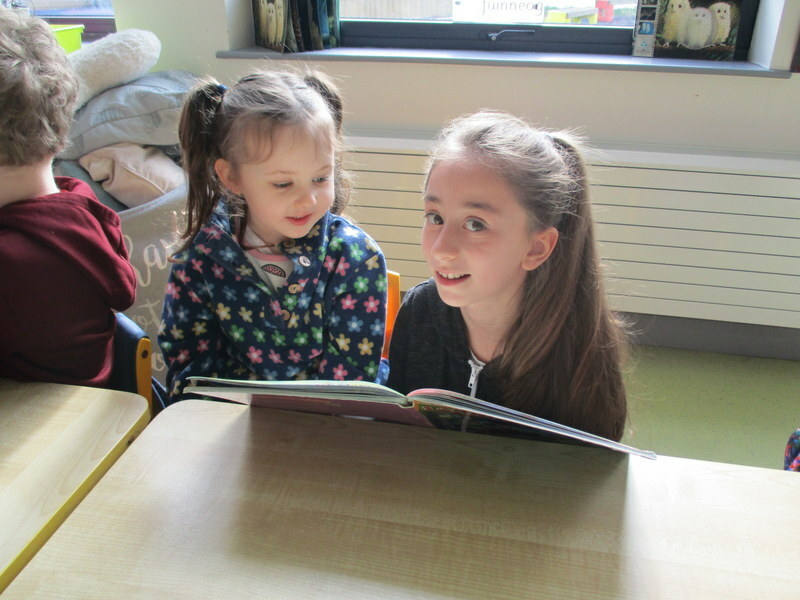 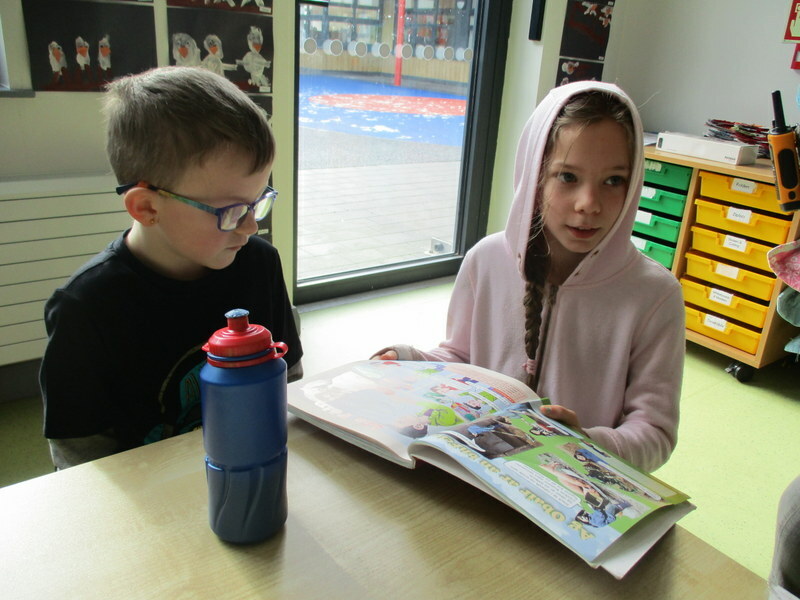 4th class also came to visit us and read their Gaeilge books to us- bhaineamar an-taitneamh as!! 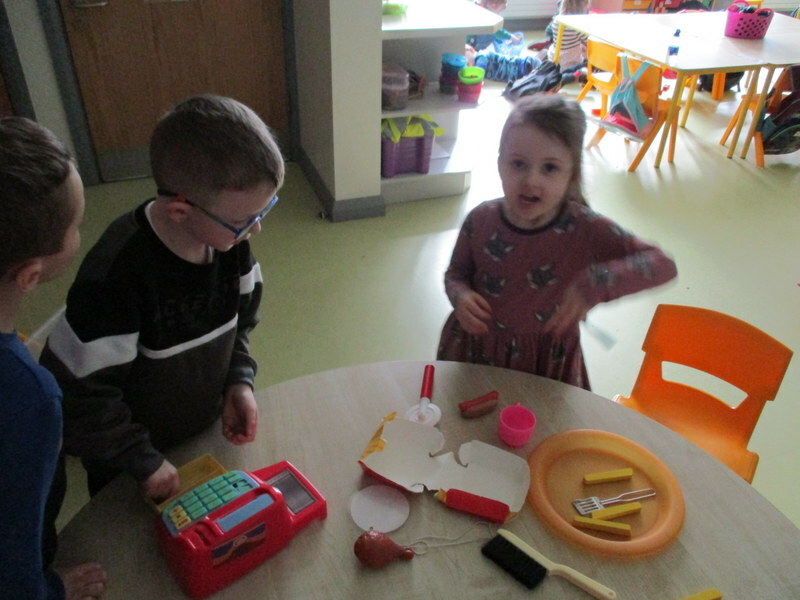 The Supermarket was great fun during March! 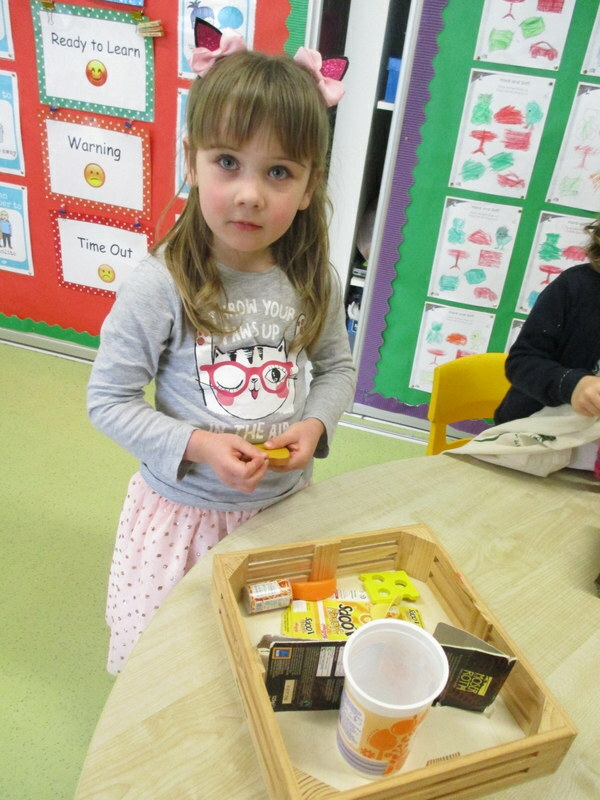 We worked as cashiers, shopped as customers, paid using real money and stocked the shelves to keep our supermarket looking lovely. 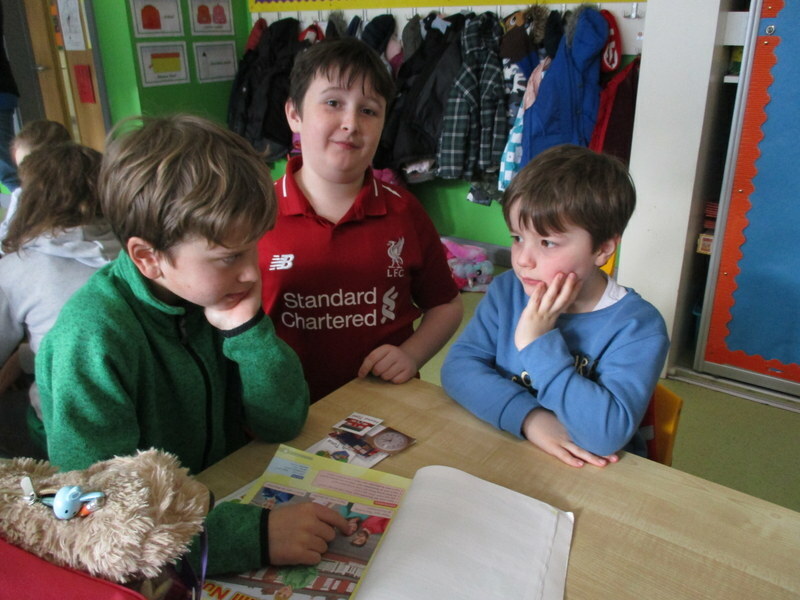 On Friday 29th March, we had a ‘Mental Health Awareness Day’. 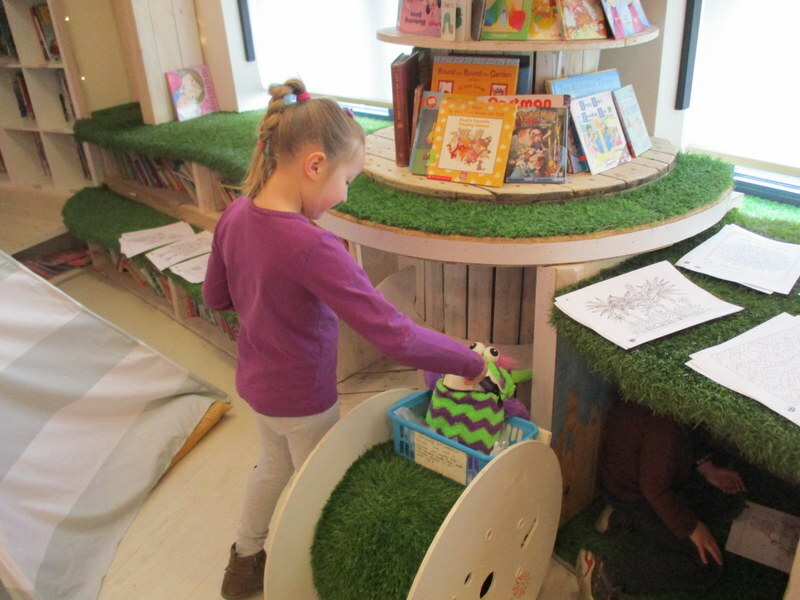 Our Amber Flag Team in the school set up a relaxing, chilled-out zone for us in the library. 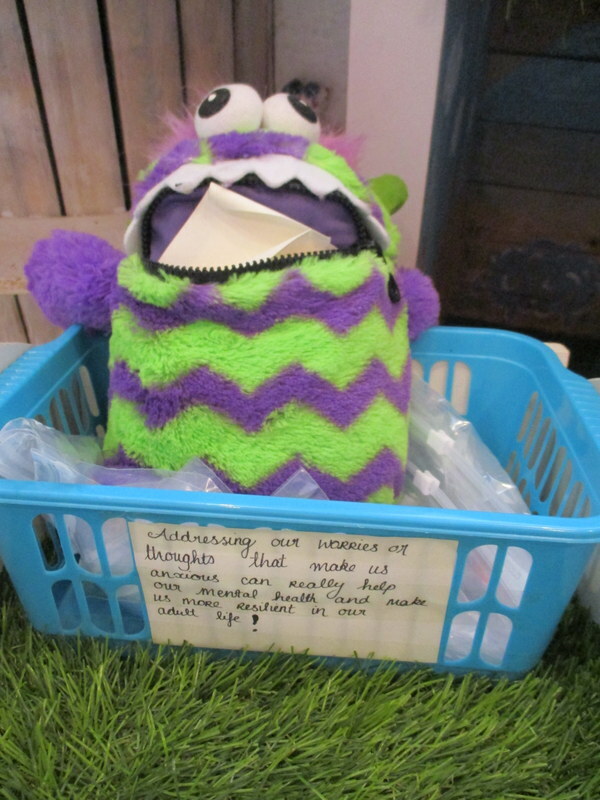 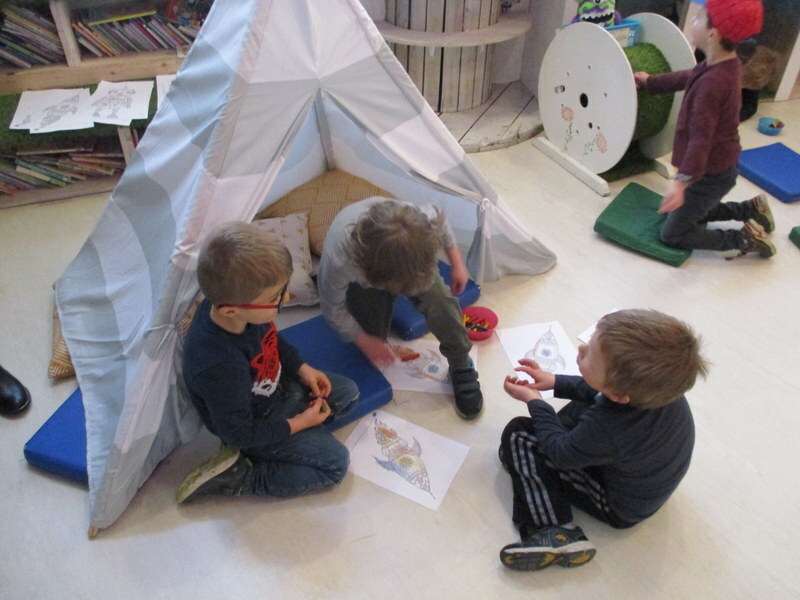 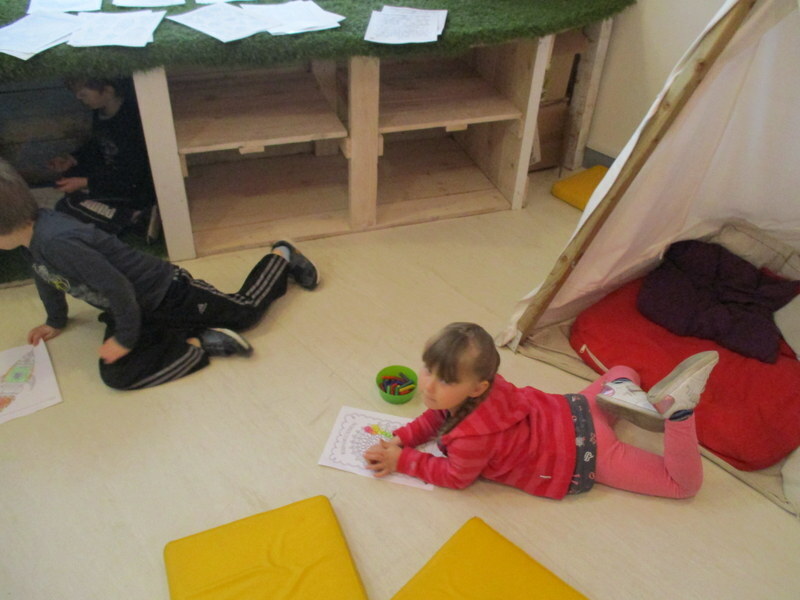 When we visited, we listened to meditation music, did some mindful colouring and let the worry monster gobble up our worries.